Breaking Glass Pictures' After the Wizard has been released in Taiwan and South Korea. 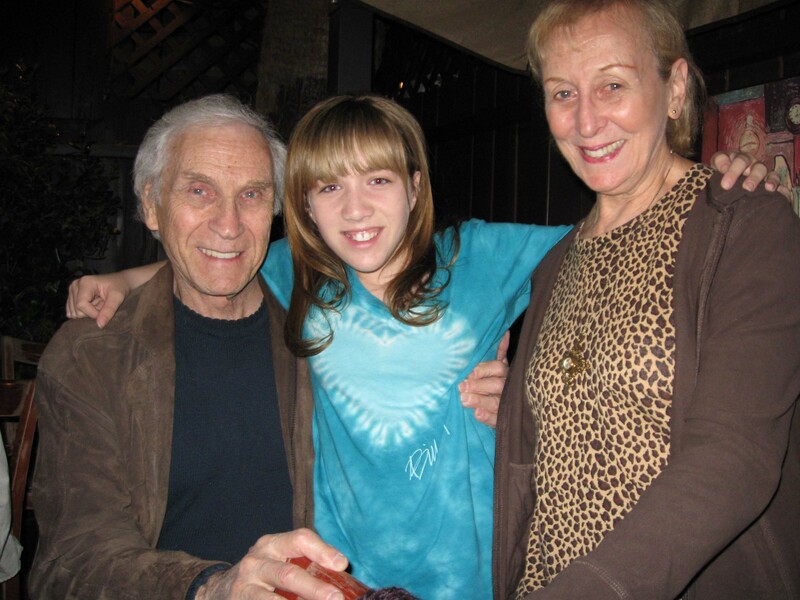 Jordan plays the lead role of Elizabeth/Dorothy in the film, directed by Hugh Gross. Jordan films the lead role of Cleo in the short film Sugar directed by Jacob Kelly. 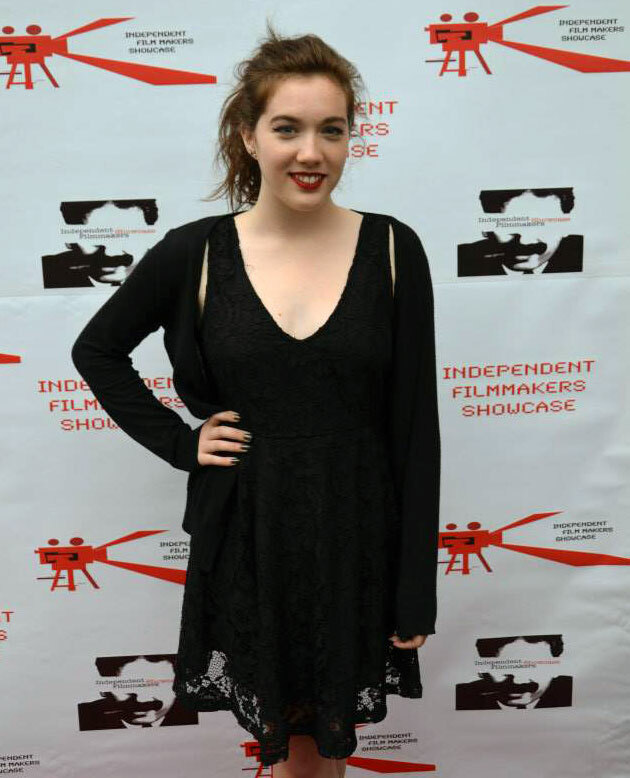 Cast as Sarah, Jordan books and will film the AFI short Toni, directed by Rebecca Maddalo. Jordan books and films the lead role of Margot in the short film Spin the Bottle, directed by Zack Hosseini. Jordan's short script, “Everything” was selected as a semi-finalist in the 2016 Awareness Film Festival (AFF), to be held in Los Angeles in October. AFF is organized by Heal One World. Its mission is to inform and inspire audiences through a program of films on ecological, political, health/well being and spiritual topics. 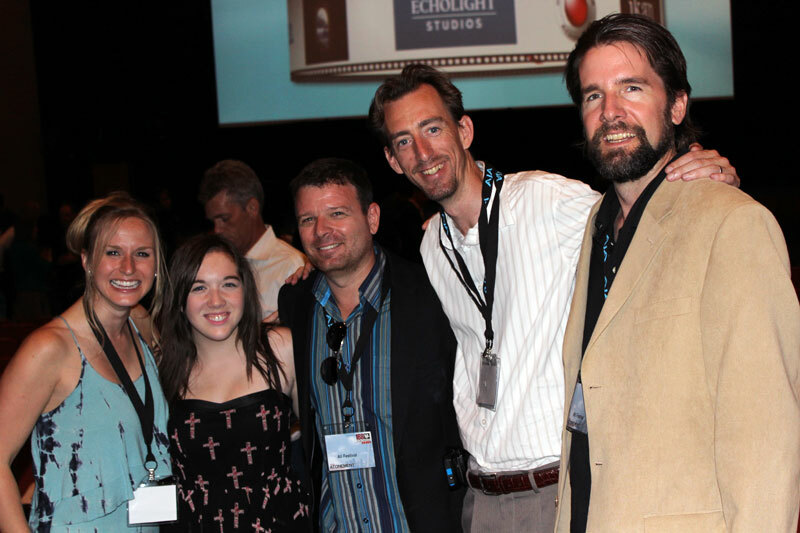 The film festival spotlights writers and filmmakers committed to making positive change throughout the world. 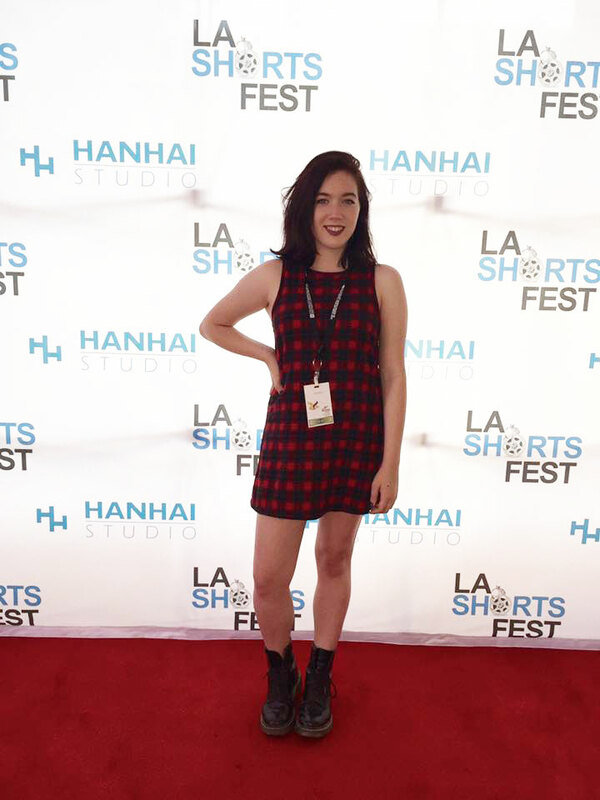 The Los Angeles Shorts Fest Film Festival names Jordan's short screenplay, "Everything," as a top 3 winner! 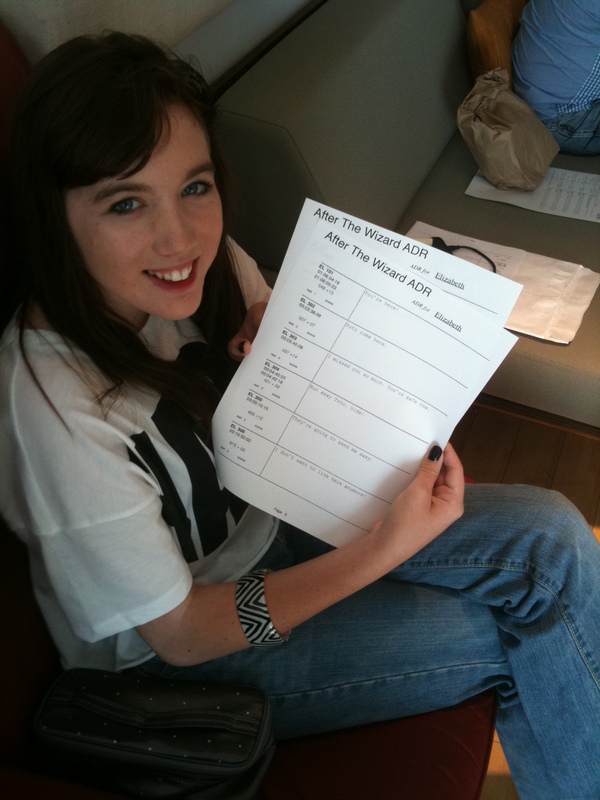 Actors conduct the table read live at the festival in downtown LA at the Regal L.A. Live. 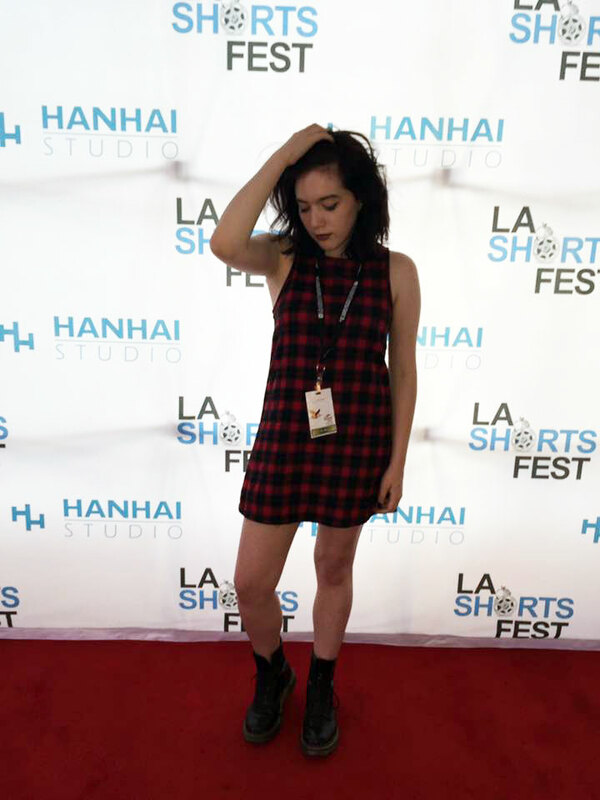 The LA Shorts Fest is officially recognized by the Academy of Motion Pictures Arts and Sciences and is an official qualifying event for the British Academy of Film and Television Arts (BAFTA) short film awards. 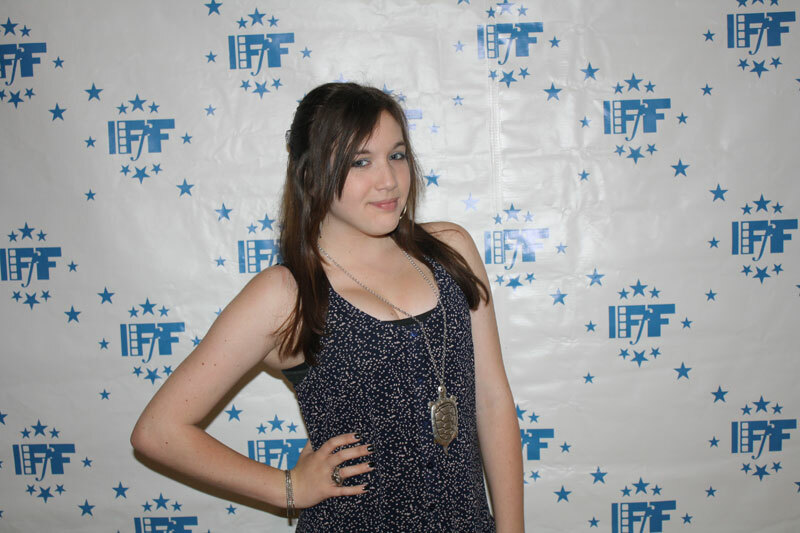 Jordan's Silver Award received from the International Independent Film Awards for her short script, "Everything" is on imdb! 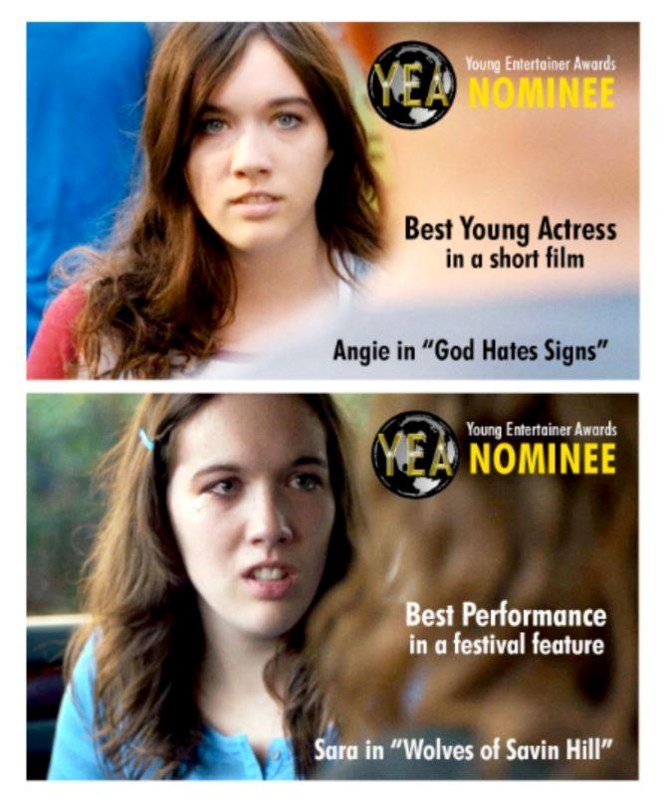 Jordan wins a Young Entertainer Award for her performance in the short film "God Hates Signs," directed by Will Cherry. 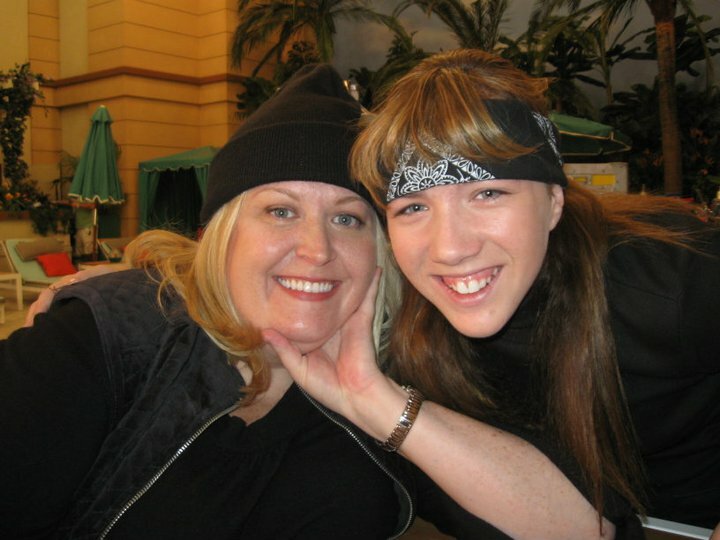 Jordan plays the role of Angela. The event was held at The Globe Theatre at Universal Studios Hollywood. Here's a clip of Jordan's acceptance speech. 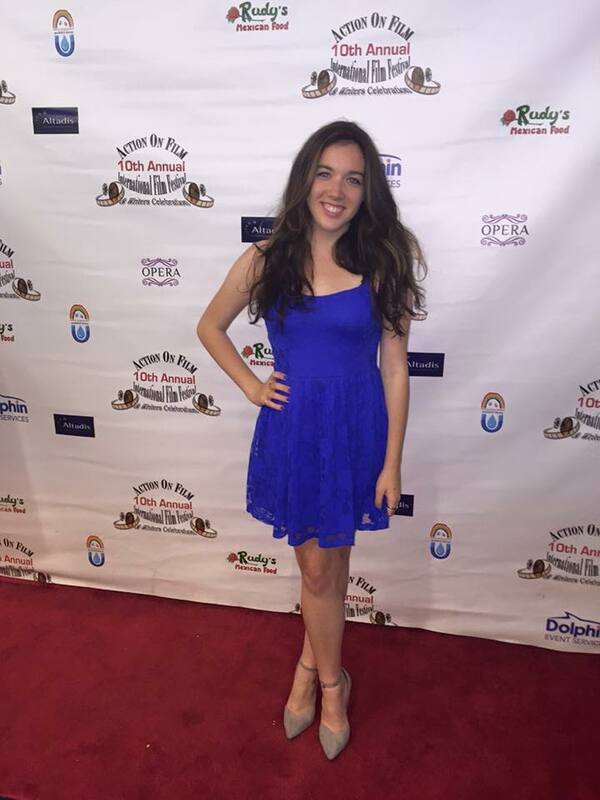 Jordan is nominated for two Young Entertainer Awards at The Globe Theatre at Universal Studios Hollywood March 20th for her performances in the feature film, "The Wolves of Savin Hill," and the short film, "God Hates Signs." 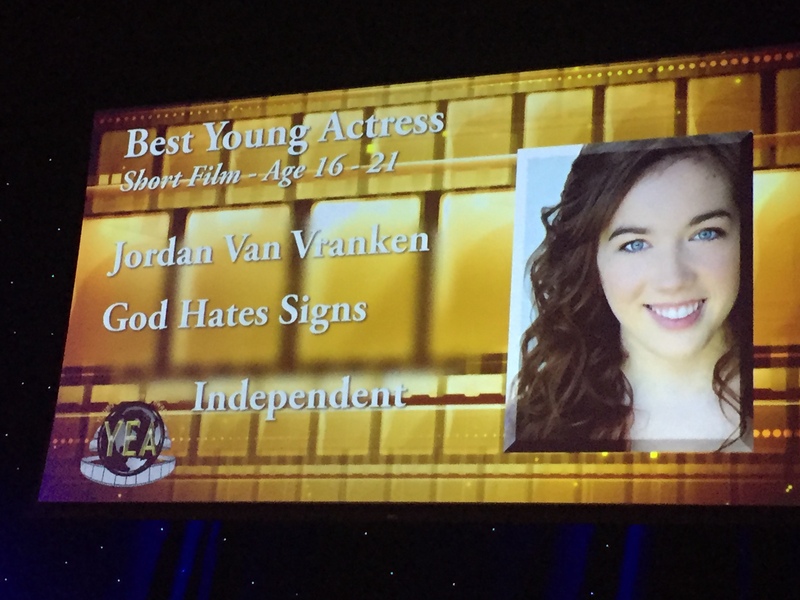 Jordan won the YEA Award for her role as Angela in "God Hates Signs," directed by Will Cherry. 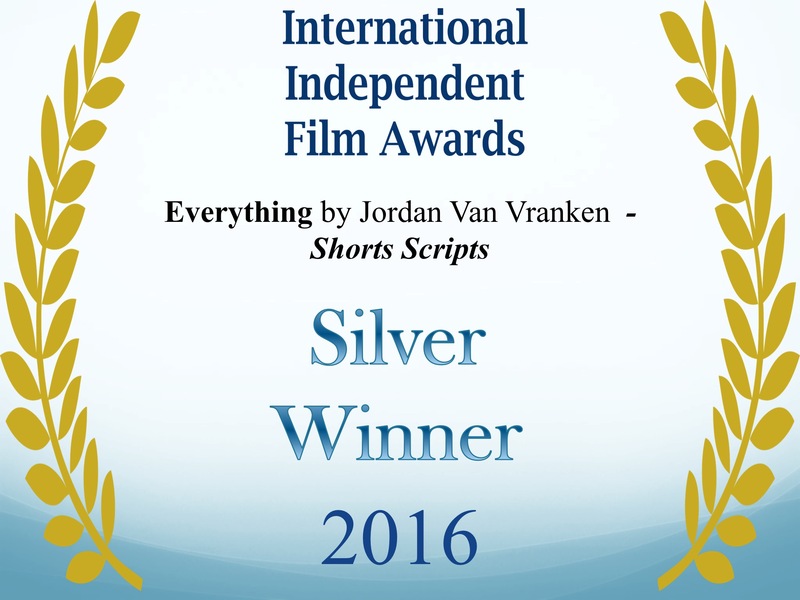 Jordan's short screenplay, "Everything," is a Silver Award winner at the International Independent Film Awards. 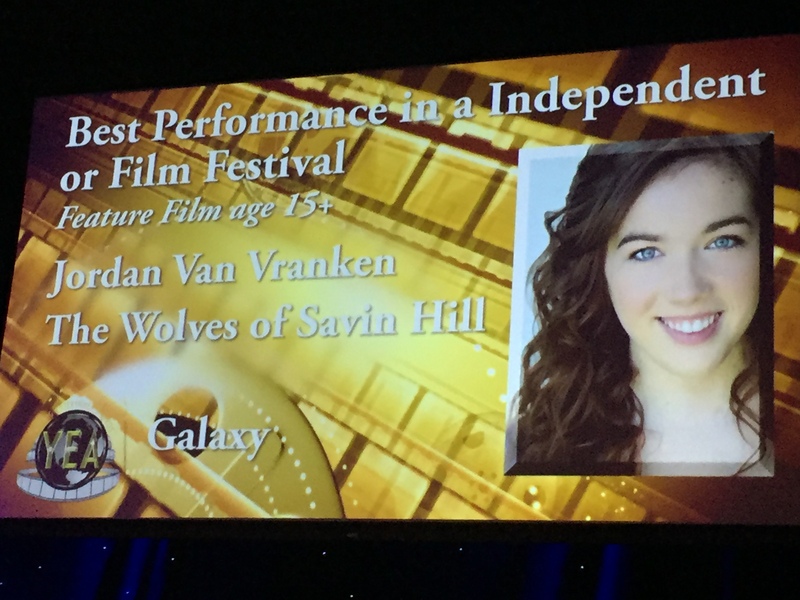 Jordan is nominated for two Young Entertainer Awards: Best Performance in an Independent or Film Festival - Feature Film for her role as Sara O'Brien in "The Wolves of Savin Hill," directed by John Hill, and Best Young Actress – Short Film for her role as Jenny in "God Hates Signs," directed by Will Cherry. 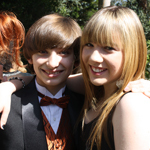 Jordan guest starred as Jasmine on the popular comedy web series "Astrid Clover," starring Allisyn Ashley Arm. Jordan celebrated the 25th anniversary of Memphis' Ronald McDonald House Radiothon in Memphis, to carry on the legacy of Memphis' legendary disc jockey, the beloved John "Bad Dog" McCormack, October 29th & 30th. The event raised funds for Memphis' Ronald McDonald House for the children who are being treated at St. Jude Children's Research Hospital and their families. The Wolves of Savin Hill, an Official Selection at the 2015 Action on Film Festival, is nominated for Best Feature Film. 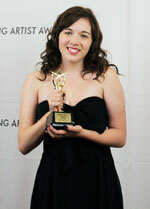 Suzanne Willard wins Best Supporting Actress. 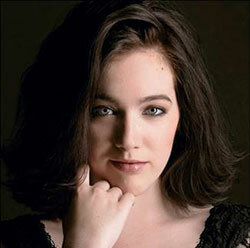 Jordan plays the supporting role of Sara O'Brien in the thriller, directed by Chris Brinker award winner, John Hill. 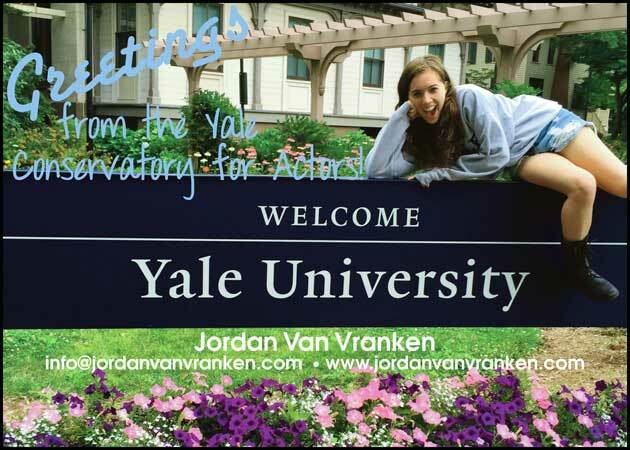 Jordan has been working on her craft at Yale University's Conservatory for Actors. After the Wizard has gone global! The film has been released in the UK, Germany, mainland China, and will be distributed in the former Soviet Union as well as Poland. You can also catch After the Wizard on the Starz Kids & Family Channel beginning August 5. 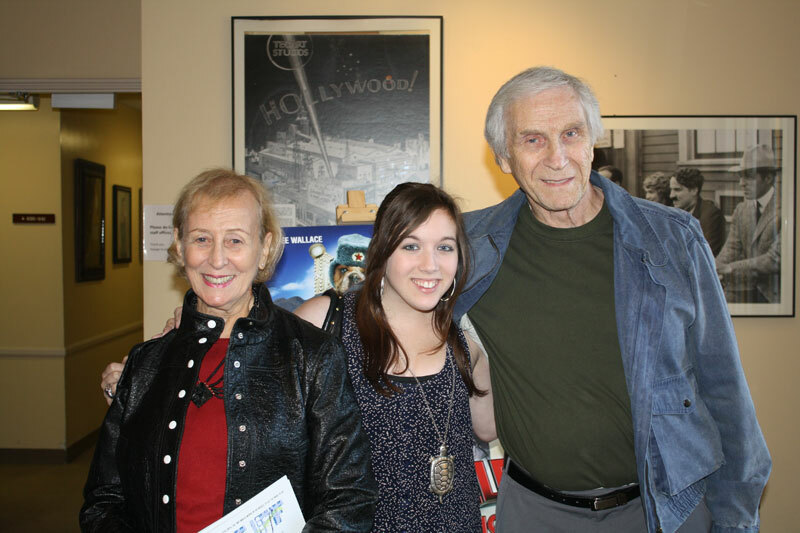 After the Wizard was written and directed by Hugh Gross. Jordan plays the lead role of Elizabeth/Dorothy. 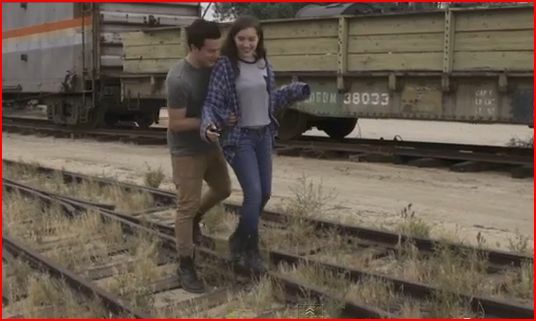 Check out Jordan in Bryan Lanning's new music video, Who Knew, produced and directed by Joseph Levi Productions. 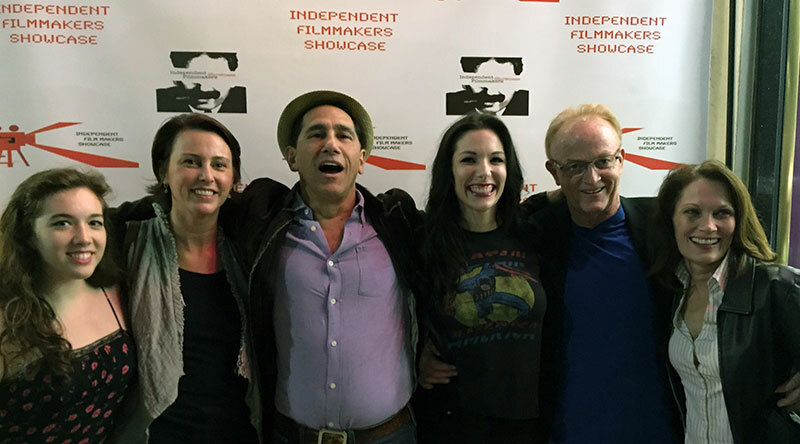 The Wolves of Savin Hill is an Official Selection in the 2015 Independent Filmmakers Showcase IFS Film Festival. The 20th Annual IFS Film Festival will be screening films May 26 - June 14 in Beverly Hills and Los Angeles, CA. Jordan plays the supporting role of Sara O'Brien in the film directed by John Hill. Ventura Blvd magazine covers Jordan's fundraising event! 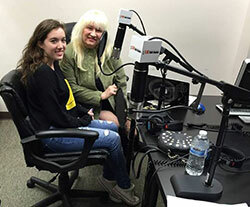 LA Talk Radio's Accent On! 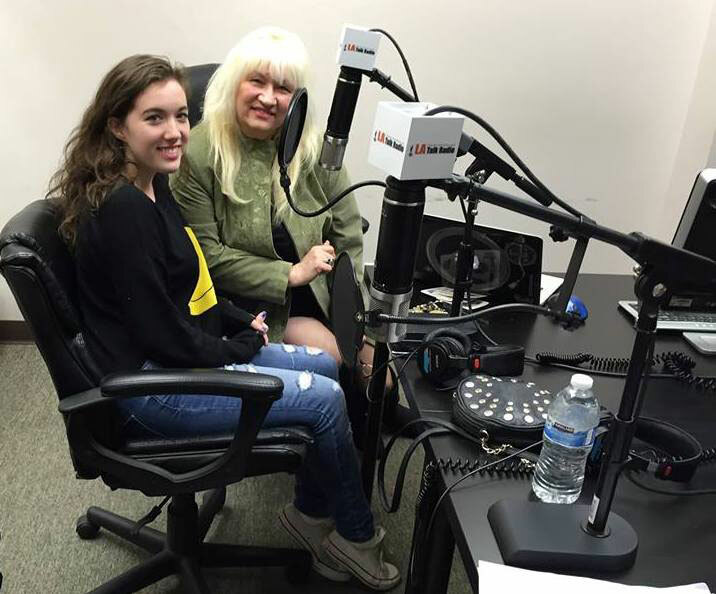 host Ilona Europa welcomed Jordan as a guest the following week to talk about the event and her favorite charity. 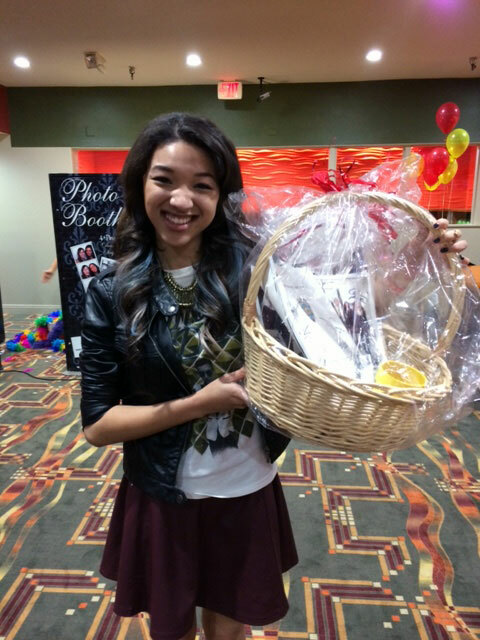 Jordan was the guest speaker at The Actors Fund's Looking Ahead Childhood Cancer Care Packaging & Hair Donation event. She was proud to share her support of Childhood Cancer Awareness, Ronald McDonald House Charities and St. Jude Children's Research Hospital. Directed by Will Cherry, the short film "God Hates Signs" screens at the Norris Cinema Theater in Los Angeles. 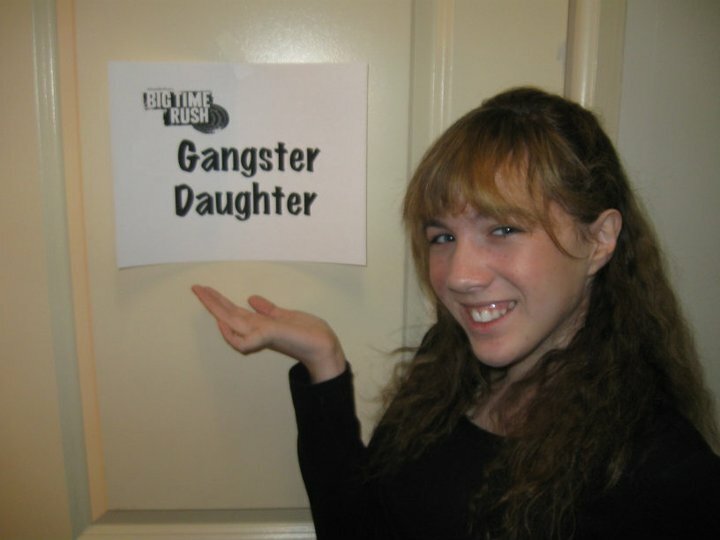 Jordan plays the lead role of Angie. 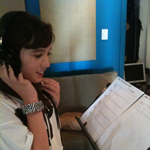 Jordan voices the character of Young Jenny Borman on the "found" tapes. 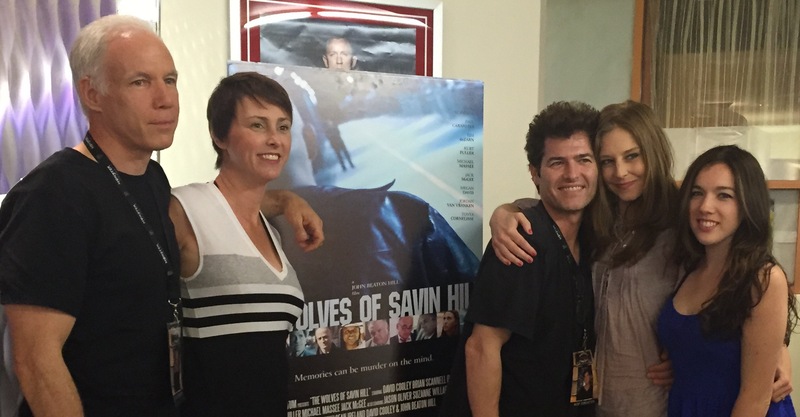 "The Wolves of Savin Hill," an Official Selection at The San Diego Film Festival, wins the prestigious Chris Brinker award for Director John Hill. 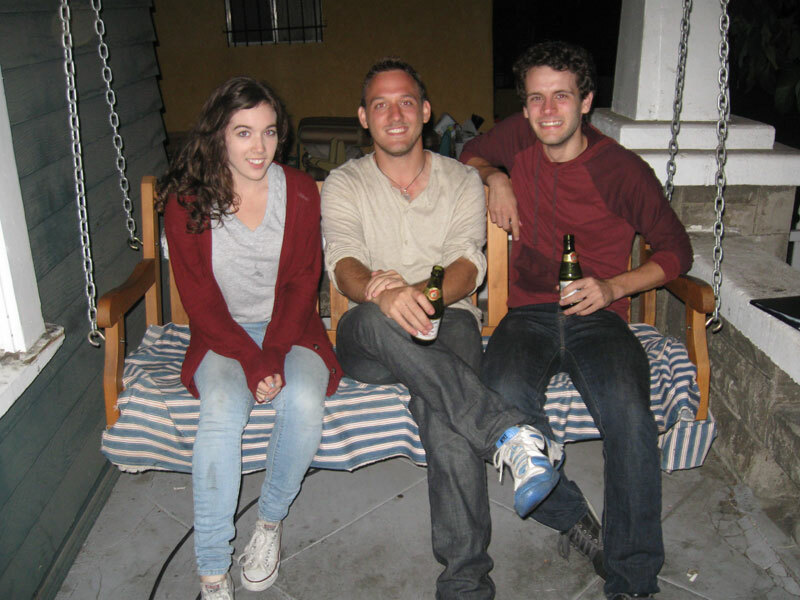 Jordan plays a supporting role as the daughter of Sean O'Brien (Brian Scannell of "Gone Baby Gone" and "The Town"). Check out this link highlighting the news and film trailer. Jordan books and films the short "God Hates Signs", directed by Will Cherry. The film is a fictionalized story based on true accounts of the controversial Westboro Baptist Church protests and its impact. Jordan plays the lead role of Angie, daughter of leaders in the Westboro mission, who reluctantly obeys her father but feels like a victim of the church's hate. 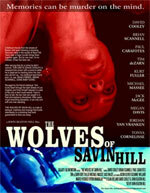 Jordan plays a supporting role in the thriller The Wolves of Savin Hill, written and directed by John Beaton Hill. Check out the trailer! See more on the Facebook page and imdb. 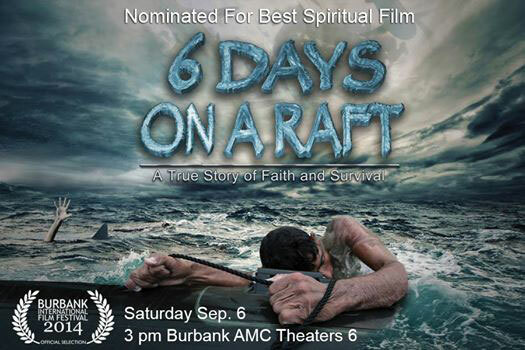 6 Days On A Raft is nominated for "Best Spiritual Film" at the Burbank International Film Festival! This is WWII Navy Veteran Bill Harrison's story of survival and faith.You can see Jordan in the documentary and the feature film in development. The Film Festival is scheduled for September 3-7 at AMC's Burbank Town Center Theatres. 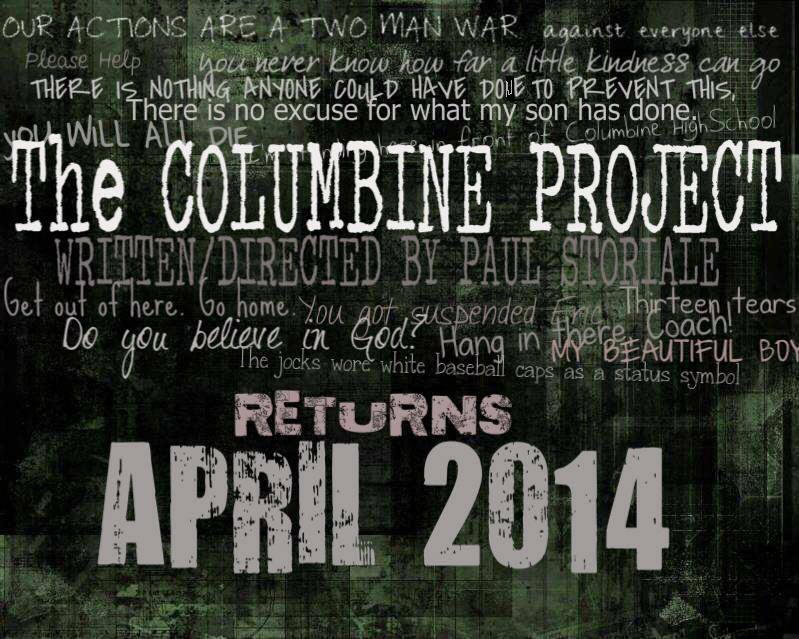 The Columbine Project, directed by Paul Storiale, opens April 5th to rave reviews at The Whitmore-Lindley Theatre in the NoHo Arts District in North Hollywood, CA. The show will run through April 26th recognizing the 15th anniversary of the tragedy. 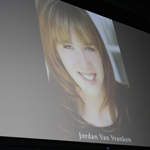 Jordan plays student Crystal Woodman Miller, a Columbine student who was in the library during the horrific event. 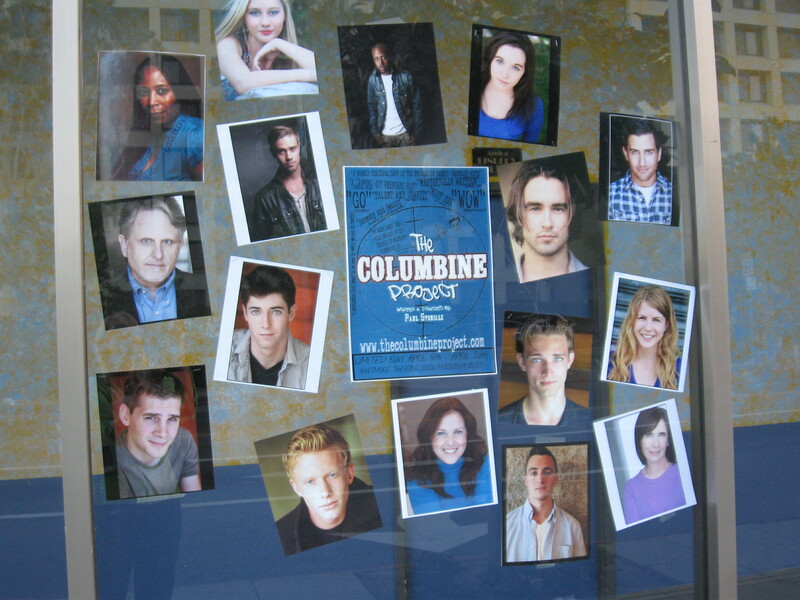 Jordan is cast as student Crystal Woodman Miller in The Columbine Project, returning to Los Angeles in honor of the 15th anniversary of the Columbine High School shooting. 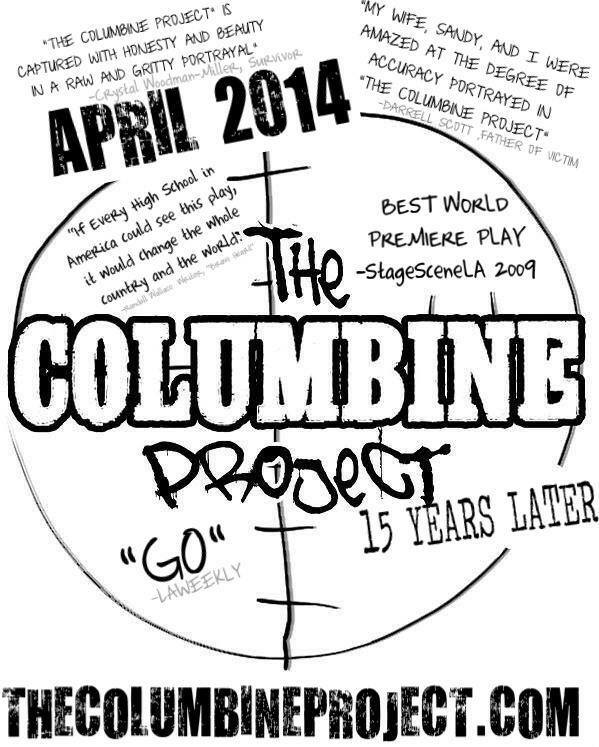 After its world premiere in April 2009, The Columbine Project was extended twice in Los Angeles. When the play moved to New York in July 2009, the Off-Broadway production was extended three times at the Actors Temple Theatre in Times Square. 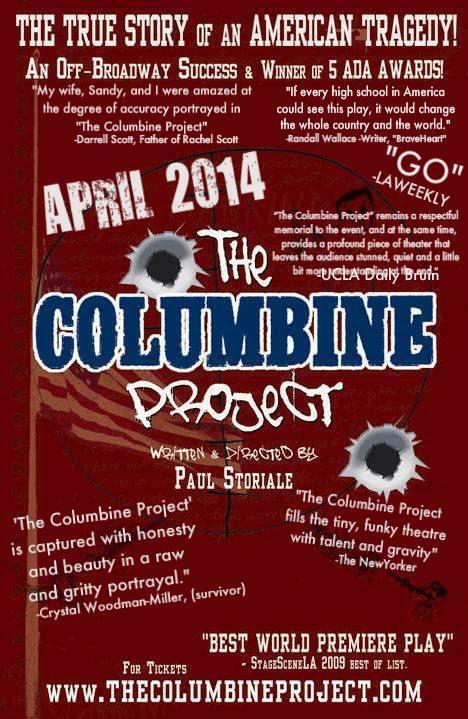 The Columbine Project earned five Valley Theatre League Artistic Director Achievement Awards. After the Wizard has been released in German! It is also now available on iTunes! 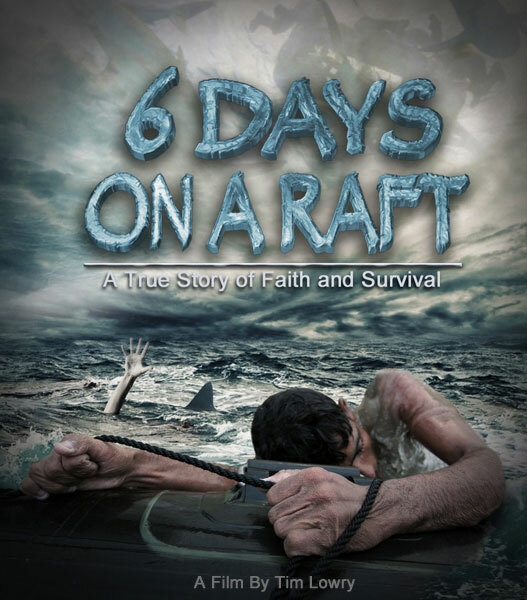 The short film "6 Days on a Raft" was nominated for BEST DOCUMENTARY and screened at The 168 Film Festival in Glendale, CA. Jordan will play the supporting role of "Katie" in the feature film. This is Jordan's 4th 168 Film Project film! Jordan voices the character of YOUNG JENNY BORMAN in the horror film DAYLIGHT, on its way to FILM4 FrightFest this month, the UK's premiere international fantasy and horror film festival! It was also selected as BEST THRILLER FEATURE at the Motor City Nightmares Horror Expo in Detroit a few months ago! Jordan books and films a new project with award-winning Director Minh Nguyen. She plays the daughter of a police officer. Jordan wins BEST ACTRESS for her performance in the indie feature AFTER THE WIZARD at the 2013 YOUNG ARTIST AWARDS held May 5th in Studio City, CA. The film was directed by Hugh Gross. The indie feature film DAYLIGHT will be screened at the Motor City Nightmares Festival April 26-28 in Novi, MI (outside of Detroit). 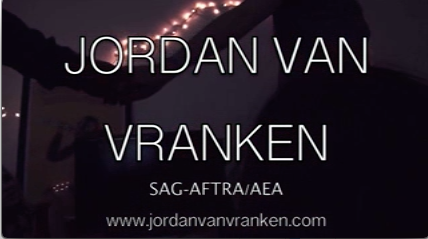 Jordan is the voice of Young Jenny Borman in this horror/thriller. 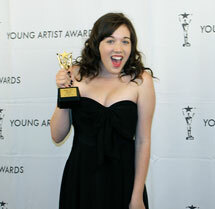 Jordan has received two nominations for the 2013 Young Artist Awards for BEST PERFORMANCE BY A YOUNG ACTRESS for her lead performances in the indie feature film "After the Wizard" and the short film "Detention." The event will be held in Studio City, CA May 5th. 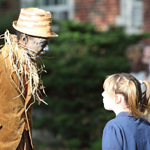 Jordan will join the Director, Hugh Gross, and fellow cast mates Jermel Nakia (Scarecrow) and Orien Richman (Tin Woodman) for a screening of "After the Wizard" at Oz-Stravaganza in New York next month. 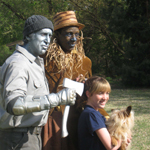 Oz-Stravaganza is an annual festival celebrating the work of Chittenango, NY native L. Frank Baum, author of "The Wizard of Oz." 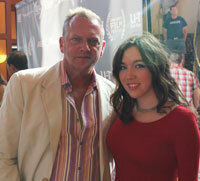 Jordan films indie "Days Full of Night," directed by John Hill. 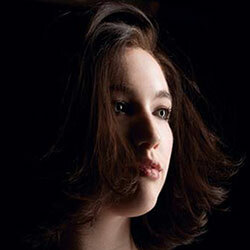 She plays the daughter of Brian Scannell, who can be seen in Ben Affleck's, "The Town." 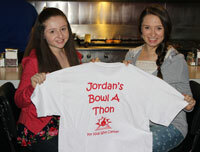 Special thanks to all who attended and supported Jordan's 3rd annual Bowl-A-Thon fundraiser!! 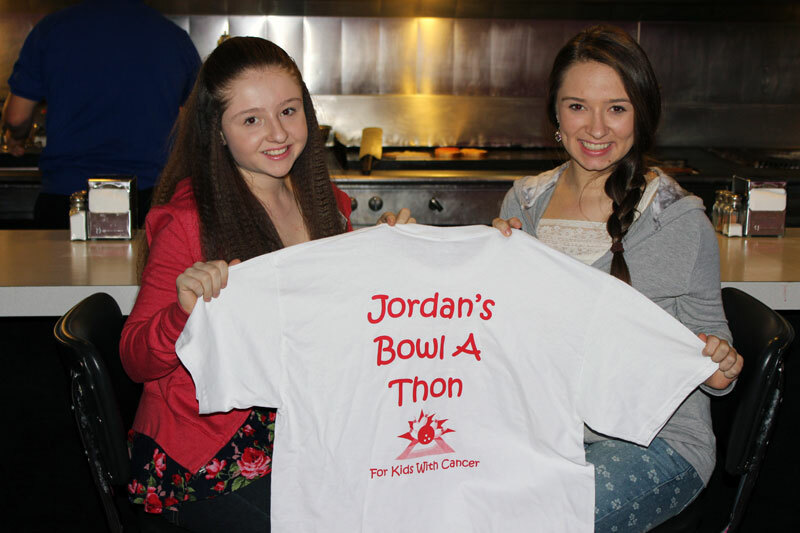 Jordan's 3rd Annual Bowl-A-Thon will be held January 20th, a fun fundraising event for the kids being treated at St. Jude Children's Research Hospital and the Memphis Ronald McDonald House. 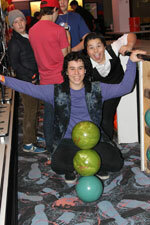 The event will be held at Corbin Bowl in Tarzana, CA. Check out the Facebook event page. 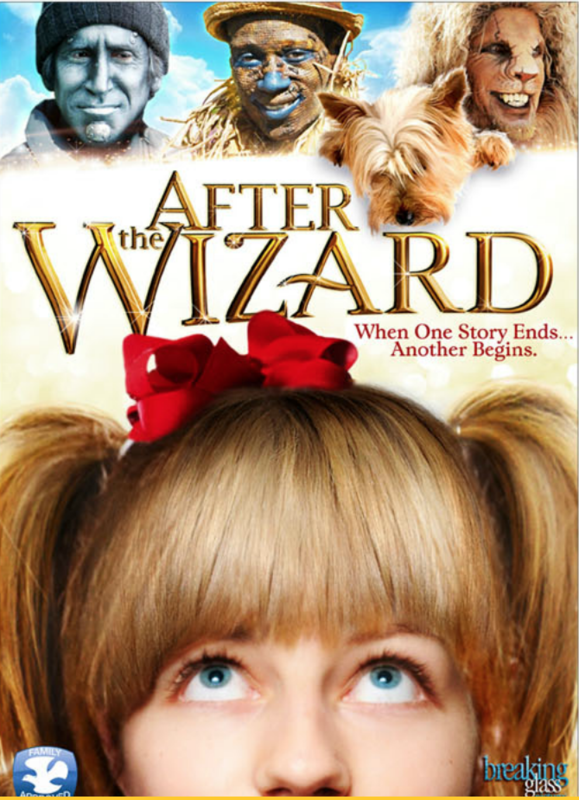 After the Wizard, now available on RedBox, is available via InDemand January 1 (Comcast, Cox & Time Warner), via EchoBridge in February (retailers like Walmart & Target), will air on TVO (Toronto's educational broadcaster) and UK DVD and internet-related rights have been placed. 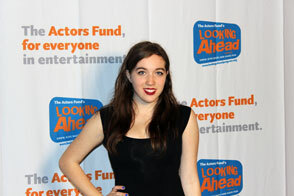 Jordan plays the lead role of Elizabeth/Dorothy in the film. Jordan books the lead in the animated short film The Rooster, directed by Ryan Chen. She will voice the role of Susan. 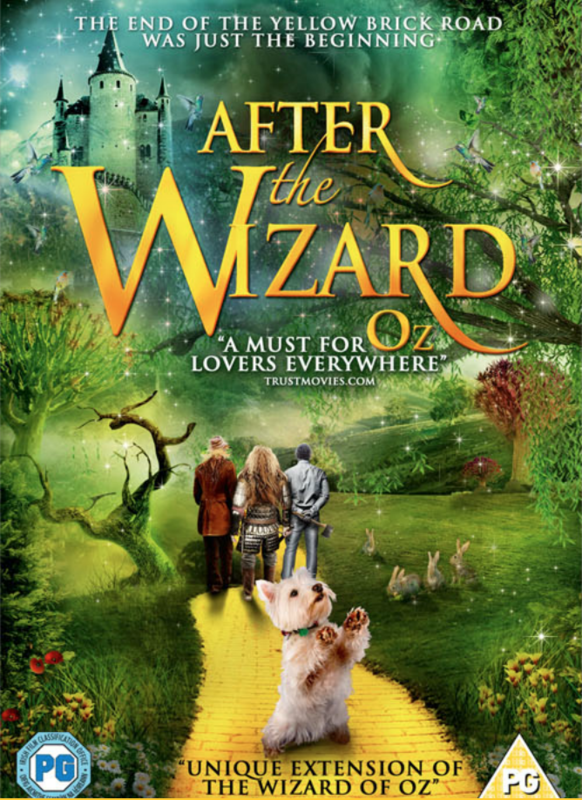 After the Wizard will be available at RedBox October 23rd! After the Wizard is now available on DVD and online at Blockbuster, Netflix, Amazon, Barnes & Noble and Breaking Glass Pictures. "Delightful... imaginative... warm and creative..."
"The young Miss Van Vranken had a remarkable command of her portrayal of the girl who desires to be Dorothy that there is nothing contrived in her heartfelt performance." 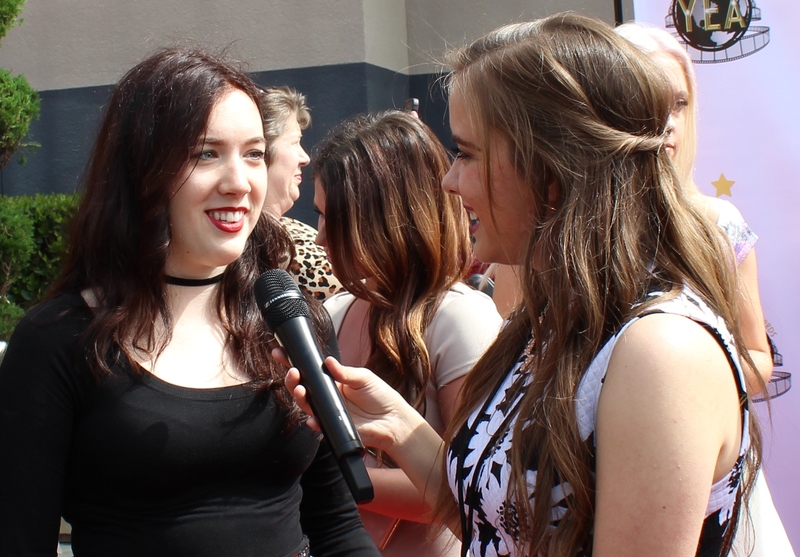 "The actress who played Elizabeth, Jordan Van Vranken did a wonderful job, I am sure she has a great career ahead of her." "Charming... poignant... a fun movie..."
"Jordan Van Vranken does a fine job as the aforementioned Elizabeth, 'er Dorothy..."
"Breaking Glass Pictures has done it again with a great movie that the entire family will enjoy." 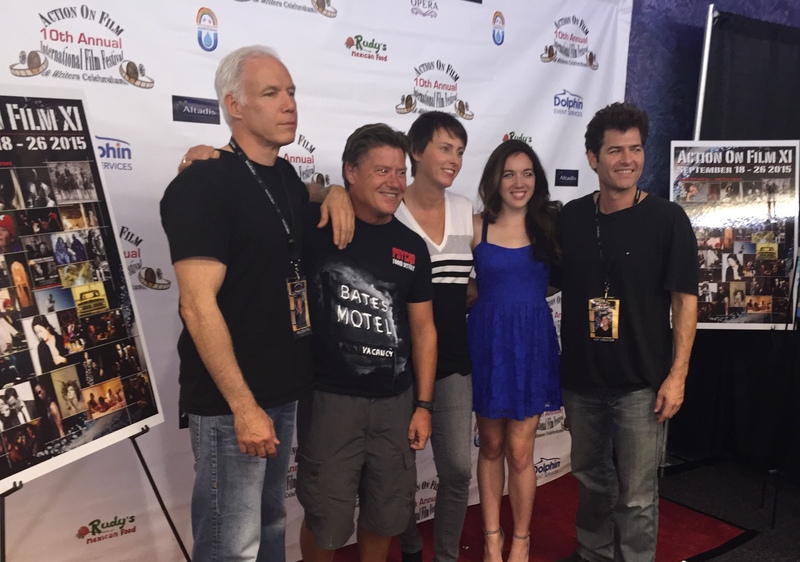 A special screening of After the Wizard was held August 12th at Laemmle's Town Center 5 in Encino, CA for the Jeffrey Foundation. August 11: Top 10 new movies today in Canada and the United States. Figures are given in United States dollars (USD) and are shown based on total receipts or tickets sold. After the Wizard ranks #7! 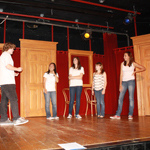 Jordan performs sketch comedy and improv at The Second City in Hollywood with the comedy troupe Socially Inappropriate July 13th. 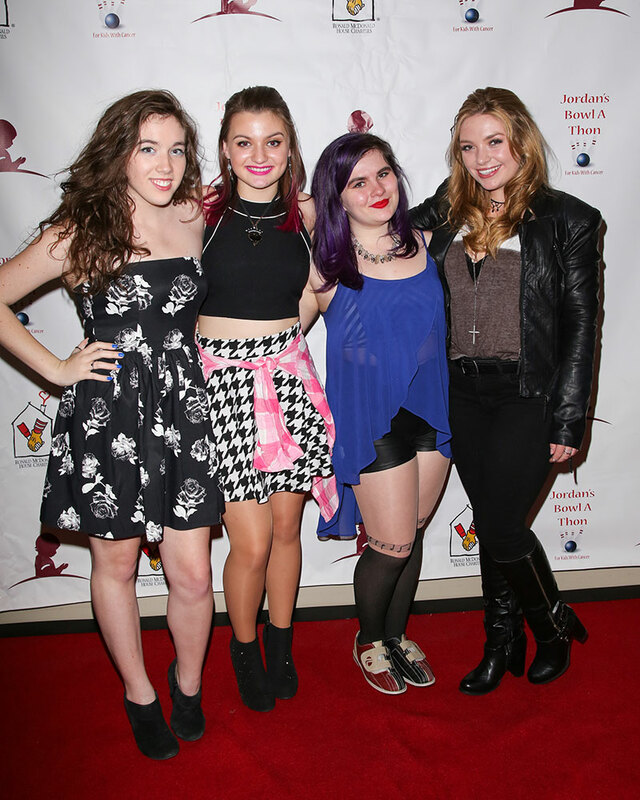 Check out this link to a recent interview with the lead cast of After the Wizard! 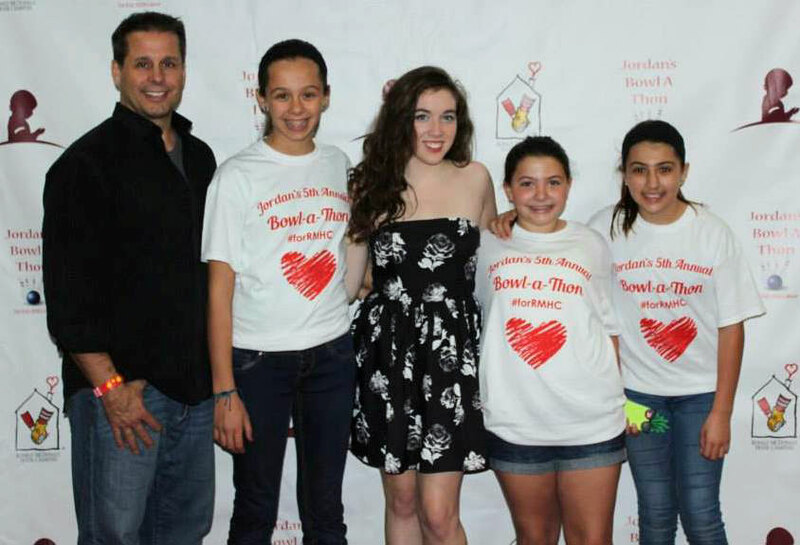 Jordan is very proud to be included in this list of St. Jude supporters and is already working on her 3rd Annual Bowl-A-Thon to raise money for the Memphis Ronald McDonald House for the kids being treated at St. Jude Children's Research Hospital. After the Wizard made its ways to the 2012 Cannes Film Festival and is being promoted by Breaking Glass Pictures. 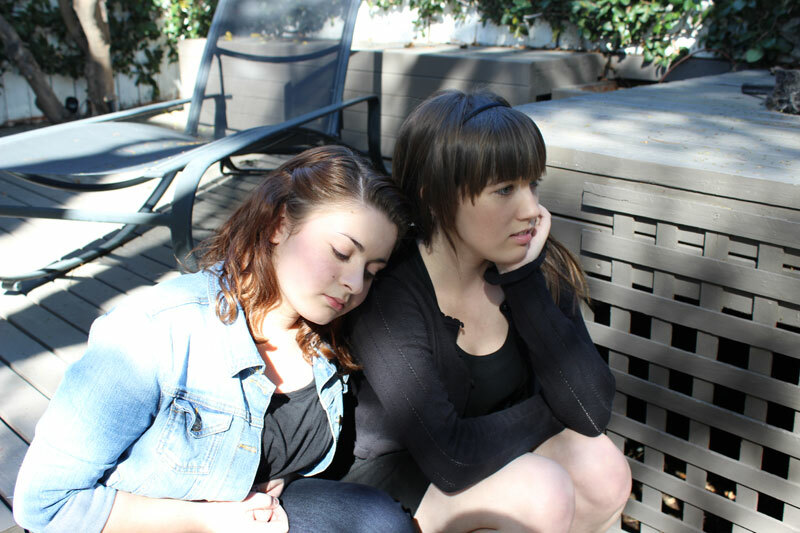 Jordan plays the lead role of Elizabeth/Dorothy in this indie feature written and directed by Hugh Gross. 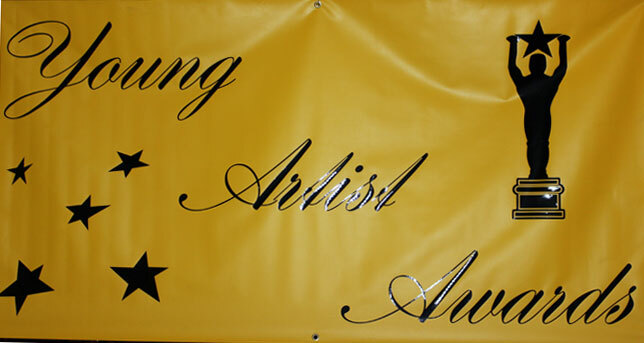 Jordan will be presenting at the 33rd annual Young Artist Awards May 6th, held in Studio City, CA. 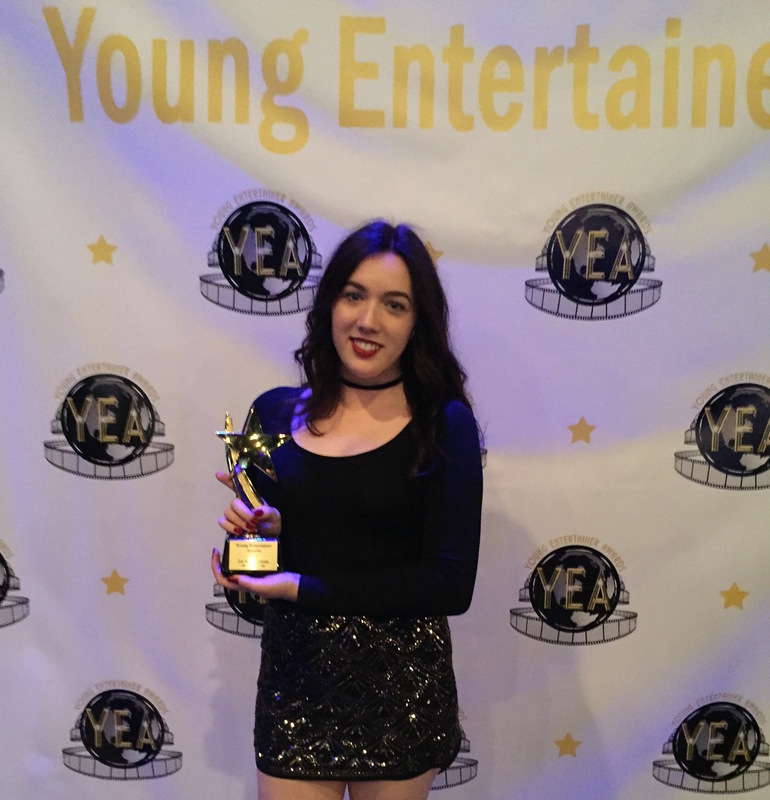 Last year Jordan won the Young Artist Award for BEST ACTRESS in a VOICE OVER role for her performance as Ripley in the Warner Brothers/HD Films' animated series CHADAM. Breaking Glass Pictures announced it has acquired North American home video and broadcast rights to the family feature "After the Wizard." The deal was struck between Ronna Wallace, CEO of Eastgate Pictures and Breaking Pictures CEO Rich Wolff. Jordan plays the lead role of Elizabeth/Dorothy. View the Press Release. 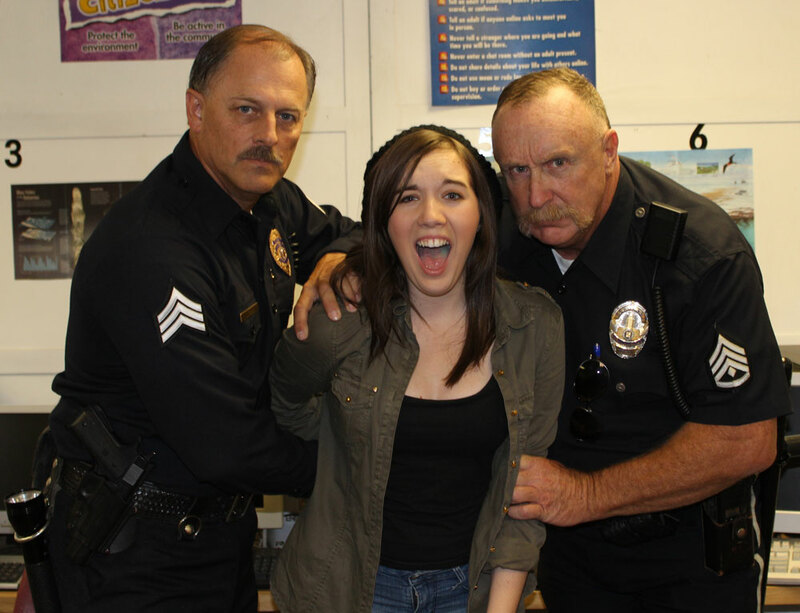 "Detention" will screen at Universal Studios in Hollywood April 20th. Jordan plays the lead character in this short film by Gian Marco Heilmann - a teen goth girl who saves the life of her teacher while in detention. The film "Different Worlds" has been shortlisted to be screened at the National Centre for the Performing Arts on May 19th in Mumbai, India as part of the WorldKids International Film Festival. 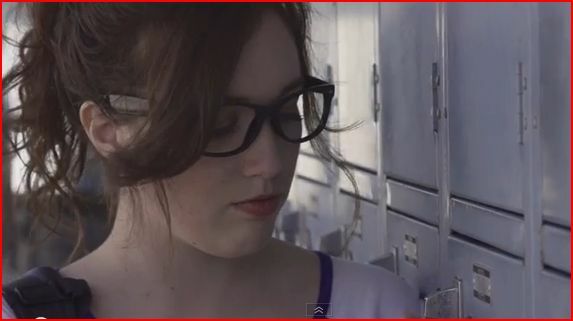 Jordan plays the lead role of Hannah in the short film directed by Hiro Hasegawa. Jordan is scheduled to film a guest role on the web series "Up in Arms" April 22nd. She will be writing sketch comedy and performing improv for the episode that spoofs cooking shows and The Hunger Games film. 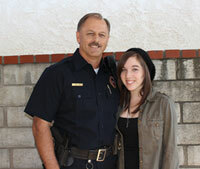 Jordan begins filming the web series "A Day in the Life" as series regular Kayla. The series opens as Kayla is being terrorized by known school bully Jake. 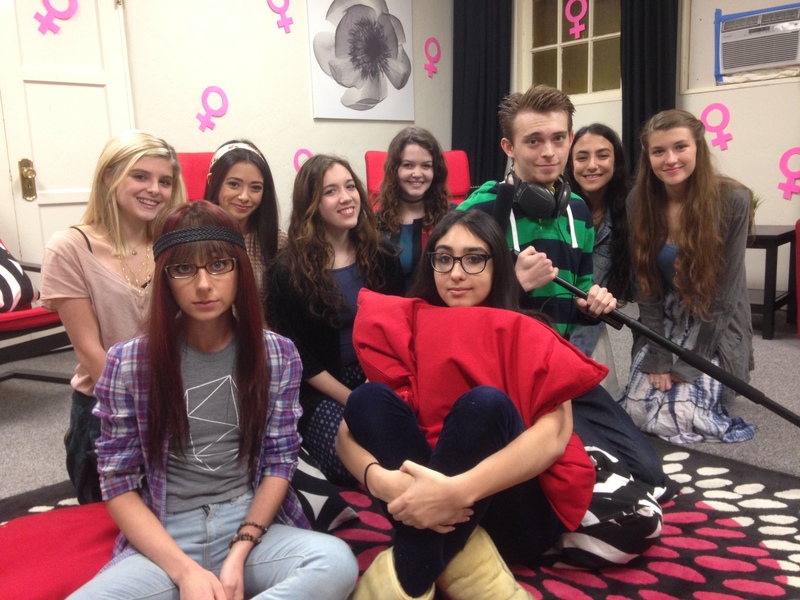 "A Day in the Life" will deliver anti-bullying messages as the stories unfold. Jordan books and films the lead role of Alexandra Callister in the short film written and directed by Gian Marco Heilmann. 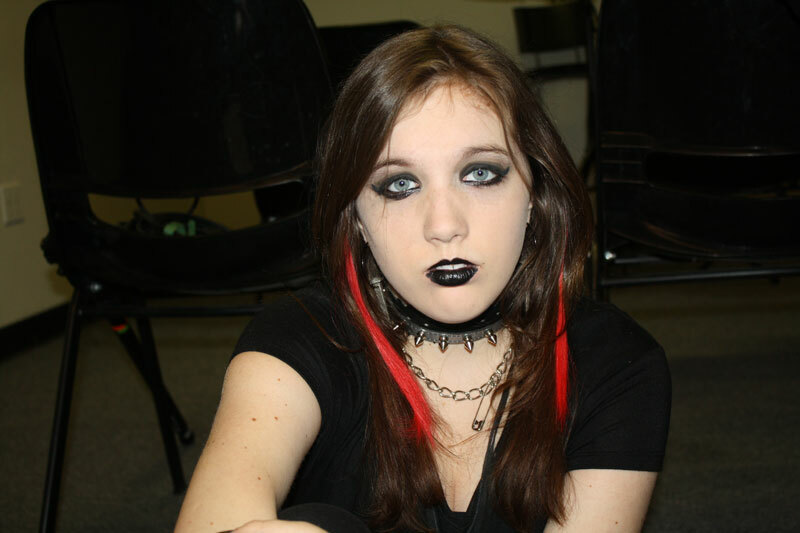 She'll play a goth teen who saves the life of her teacher while in detention. "After the Wizard" is selected to screen at the 17th Annual International Family Film Festival at Raleigh Studios in Hollywood March 22nd. 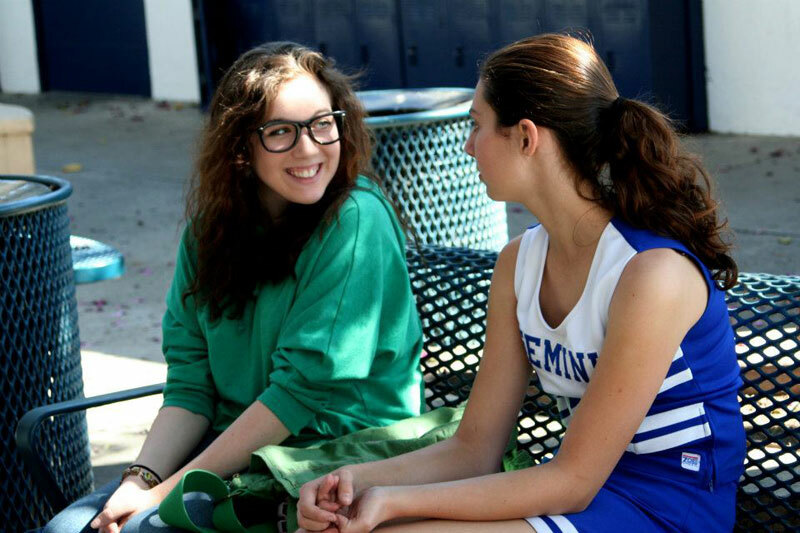 Jordan plays the lead role of Elizabeth/Dorothy in this indie feature. Jordan books the role of Kayla - a series regular in the new web series A Day In The Life. Filming begins next month! Jordan is back in the booth -- completing voice over and ADR for the short film "Cyberbullied," directed by Doug Cembellin. The project will be submitted to film festivals in early 2012. 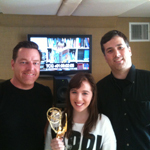 Jordan books and records voice over/ADR for a documentary film on the topic of cyber bullying. 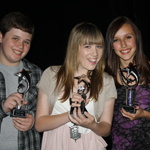 Film will be submitted to film festivals in early 2012! 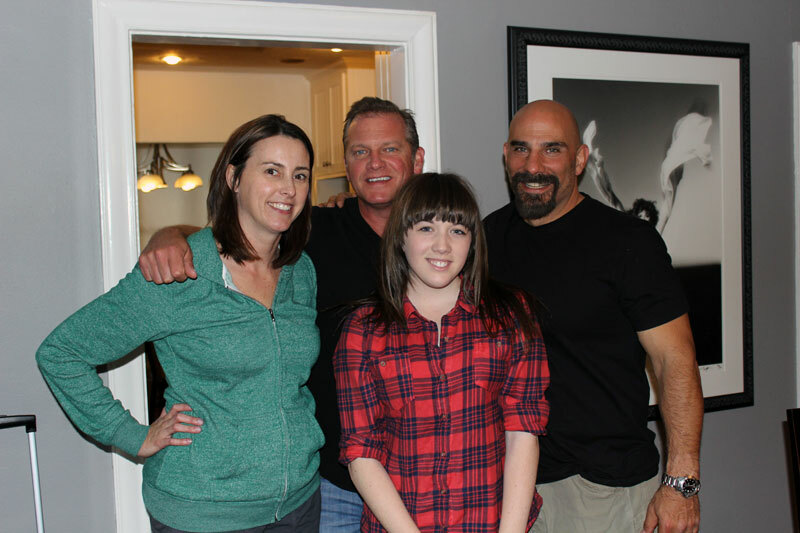 Jordan books the voice over role of young Jenny Borman...the voice for the lead character in the indie feature DAYLIGHT, directed by David McCracken and produced by Josh Riedford. Jordan books the lead in the short film, "Joan's Day Out," written and directed by Ellen Houlihan. The story is about a grandmother's "escape" from her nursing home to get her daughter and granddaughter's life back on track. Rehearsals and table read start soon! The short film "Different Worlds," directed by Hiro Hasegawa, was accepted into the WorldKids International Film Festival in India -- an annual event with ongoing year round film festival screenings in schools. 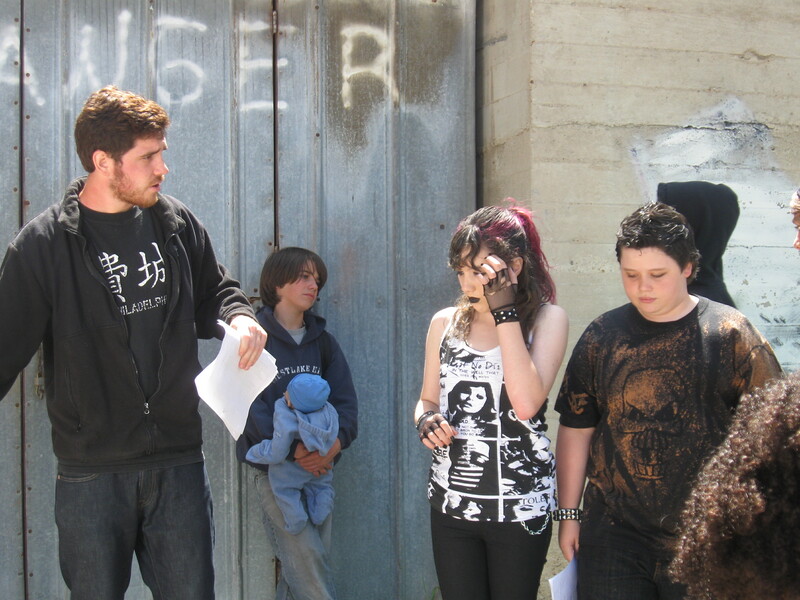 Jordan plays the lead role of Hannah in the film. As part of their endeavor to impart value based education through quality cinema, the WorldKids Foundation has held the traveling WorldKids International Film Festival in the cities of Mumbai, Delhi and Indore to receive an unprecedented response of over one hundred thousand children and young adults. 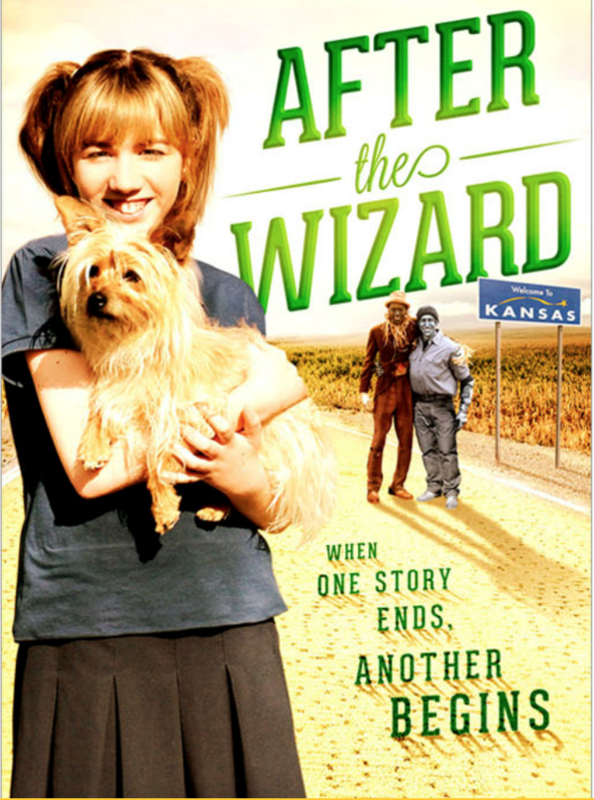 "After the Wizard" plays on multiple screens in Kansas; private screenings held in Los Angeles! 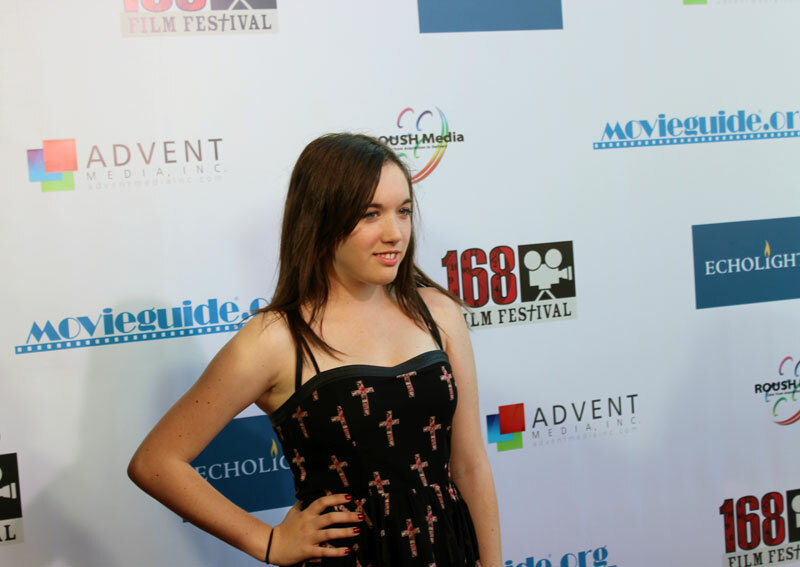 Jordan plays the lead role of Elizabeth/Dorothy in the indie feature written and directed by Hugh Gross. Jordan attends the Rolling Stones Teen Choice Awards After Party in Hollywood! The animated film "We the Divided" is scheduled to air on MNETAmerica in the show SHORT NOTICE on July 12th @ 5pm PST. Rerunning: 7/13 @ 10am, 7/16 @ 5pm, 7/20 @ 11am, 7/23 @ 6pm. Jordan voices the character of young Mia. 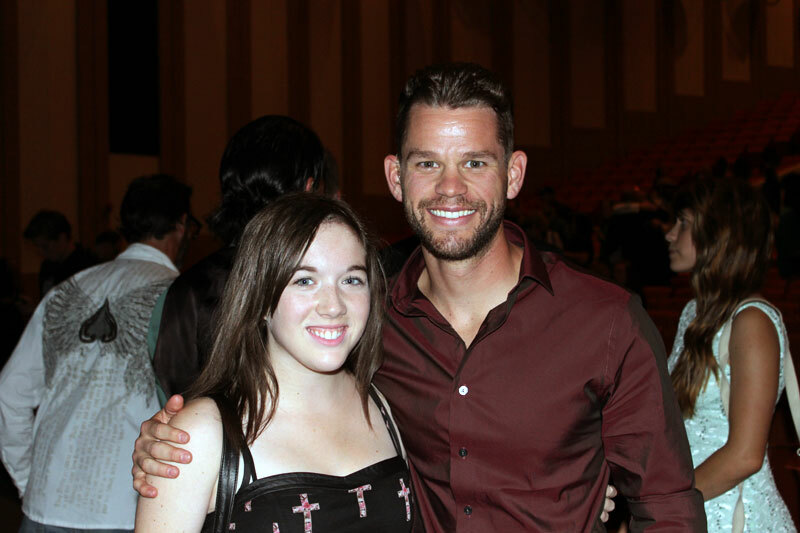 Jordan attends World Premiere of After the Wizard in Kingman, Kansas – one of the four Kansas cities where the project was filmed, at the historic Kingman Theatre. 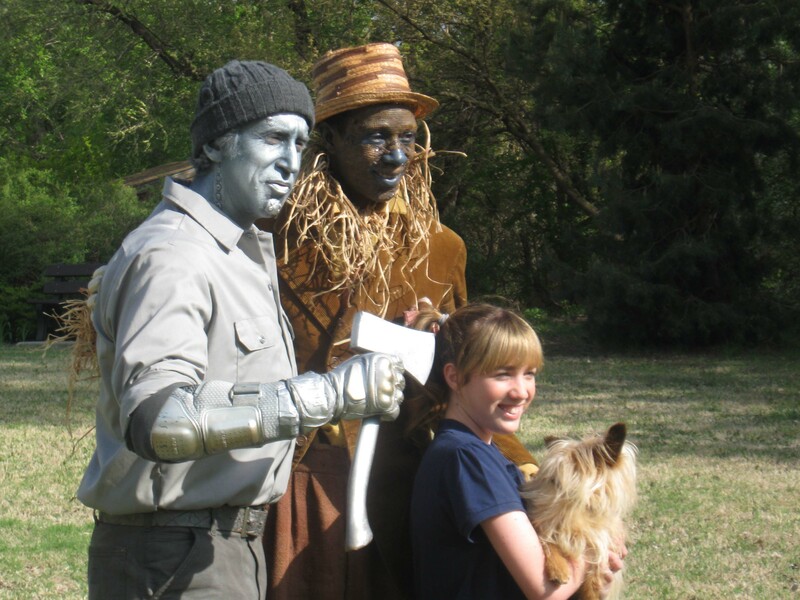 After the Wizard was written and directed by Hugh Gross and stars Orien Richman as the Tin Woodman, Jermel Nakia as the Scarecrow, and Jordan in the role of Elizabeth/Dorothy. A screening in Los Angeles will be held next month. 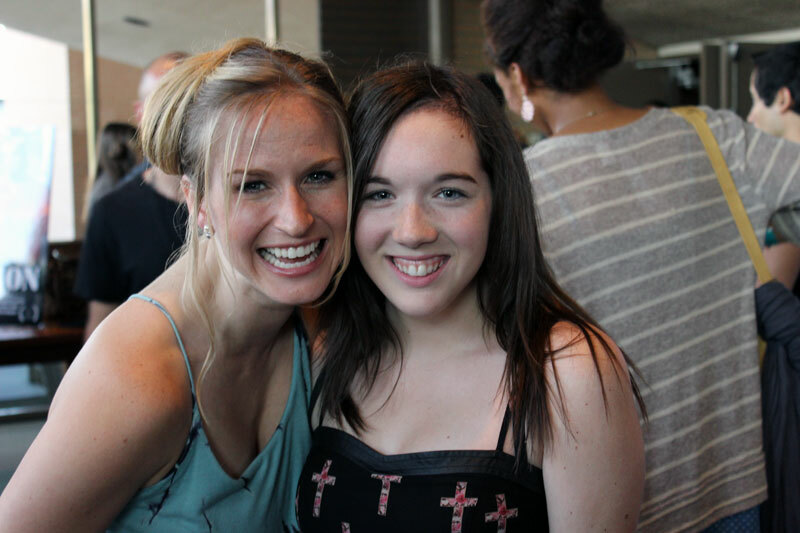 Watch for Jordan in the feature film, "Bad Teacher" premiering June 24th. She has a fun scene with Cameron Diaz as "Crying Girl!" 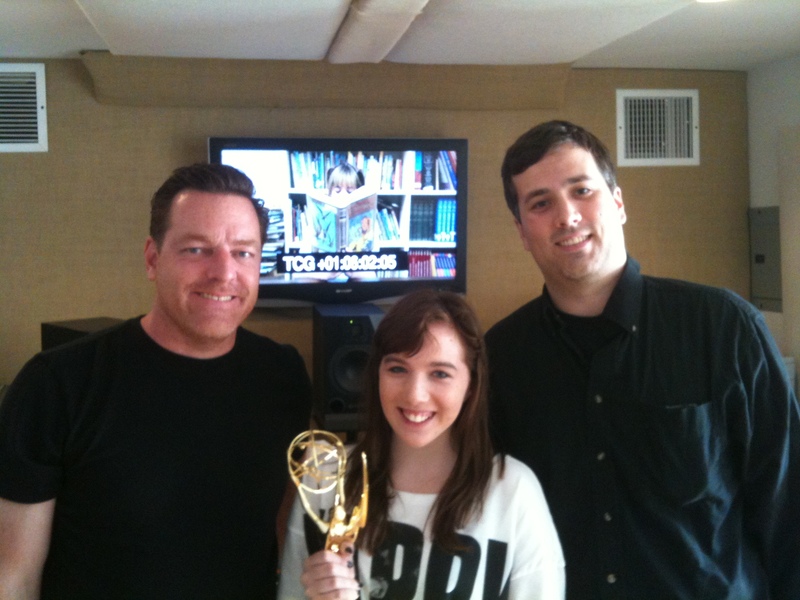 Jordan is working with Emmy Award winning sound mixer Steve Tibbo on post production ADR/voice over for "After the Wizard." The world premiere of the film will be held next month in Kansas, one of the several locations the project filmed. World premiere of the indie feature "After the Wizard" is scheduled for July 2nd - Jordan plays the lead role of Elizabeth/Dorothy. 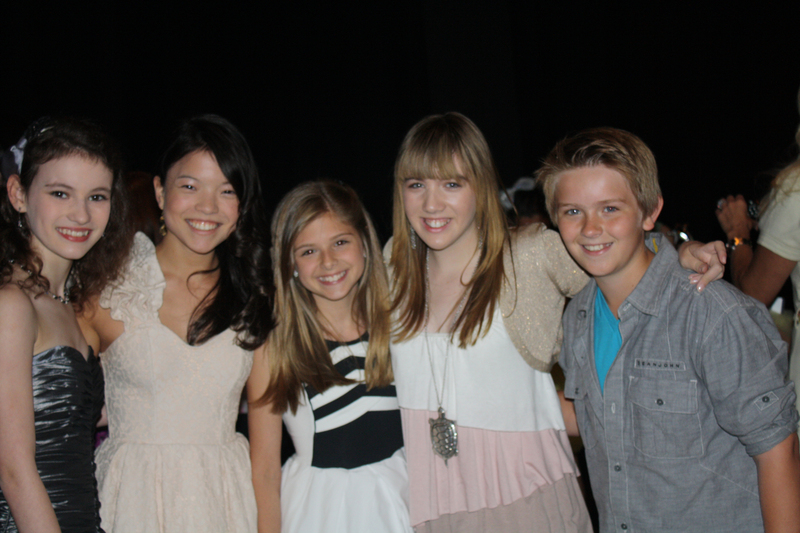 Jordan is recognized April 30th at the 2011 CARE (Child Actor Recognition Event) Awards at The Globe Theatre, Universal Studios Hollywood. Award recipients were honored for their professional work, educational achievements and community service. 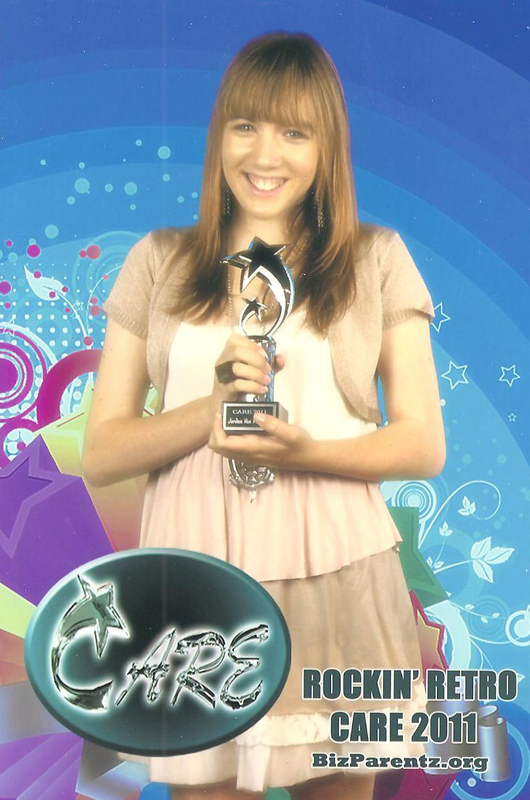 Jordan also won a CARE Award in 2010 and 2009. Jordan is recognized April 30th at the CARE (Child Actor Recognition Event) Awards at the Globe Theatre at Universal Studios Hollywood! She is one of the child actors recognized for her professional acting, as well as her academics, training and community service. The City of Los Angeles declares April 30th Child Actor Appreciation Day! Jordan reads the roles of Sacha and Lulu in a table read for "59 Rows of Teeth," a drama set in New Orleans written by W. Peter Iliff. Jordan performs live comedy and improv at The Second City in Hollywood April 21st! 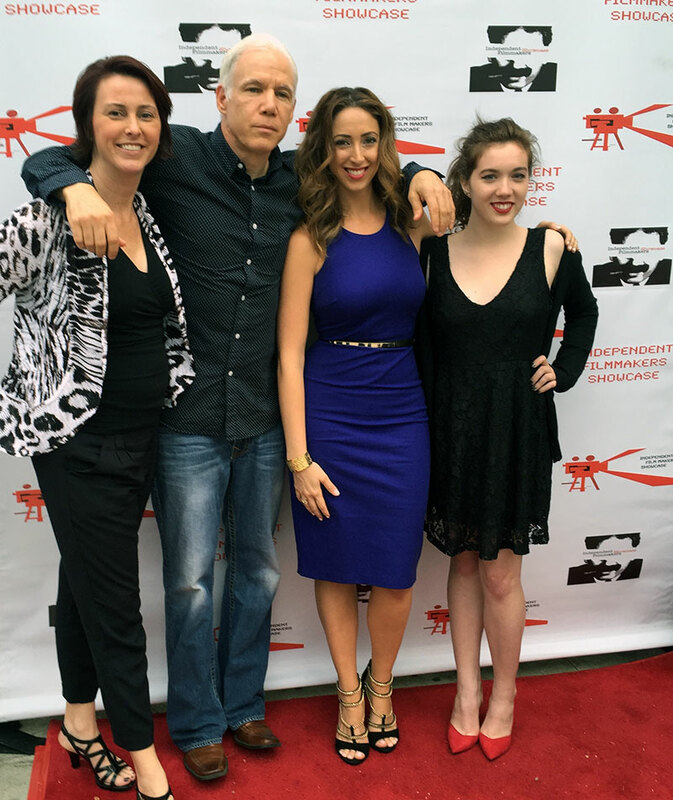 The short film "My Education" screens at "New Filmmakers of Los Angeles" at Sunset Gower Studios in Hollywood April 20th. Jordan provides ADR for the film directed by Iris Helfer. 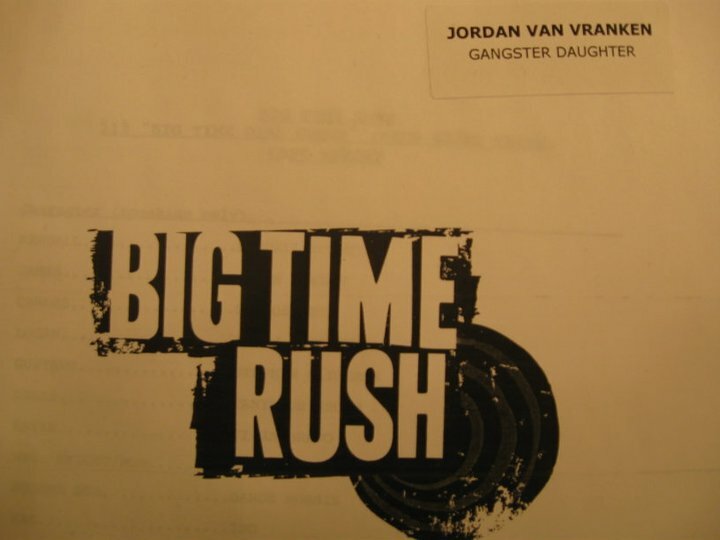 Jordan's episode of Big Time Rush, "Big Time Girls Group" airs on Nickelodeon April 9th. Jes Hudak's "Another Day" Music Video played at the Hollyshorts Monthly Film Festival Screening April 8th; Jordan plays the daughter of a homeless family man in the video. 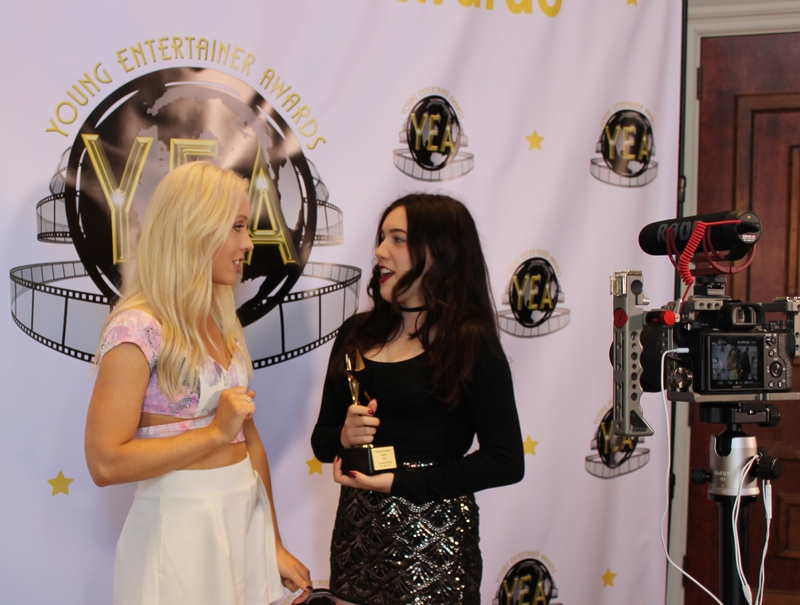 Jordan wins the Young Artist Award for BEST ACTRESS in a VOICE OVER role for the character of Ripley in the Warner Brothers/HD Films' animated series CHADAM, also starring Katey Sagal. She dedicated her award to her mentor, Memphis legendary radio disc jockey John "Bad Dog" McCormack who passed away a few days earlier from a battle with leukemia. The 32nd Annual Young Artist Awards was held March 13th in Studio City, CA. Jordan was recognized last year for BEST PERFORMANCE for a GUEST STARRING ACTRESS in a television series for her performance in Criminal Minds. Check out the story on CNBC! Jordan is nominated for a Young Artist Award for her performance as Ripley in the Warner Brothers/HD Films animated series "CHADAM." The 32nd annual awards ceremony will be held next month in Studio City, CA. 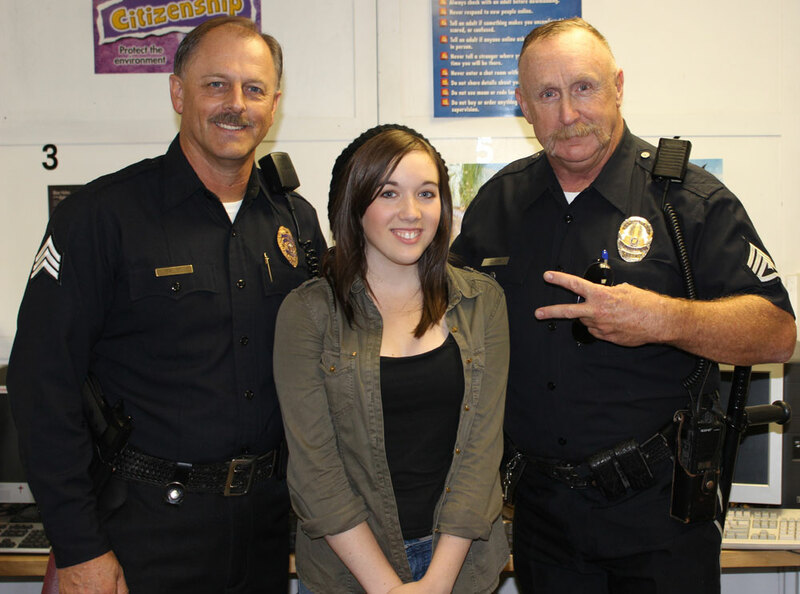 Jordan was recognized at last year's event for her performance in "Criminal Minds." 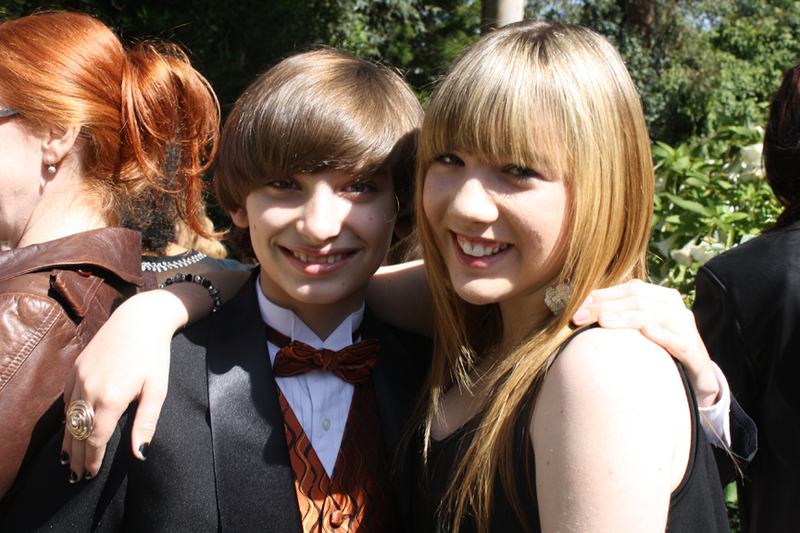 Jordan will be honored at the 2011 CARE (Child Actor Recognition Event) Awards. 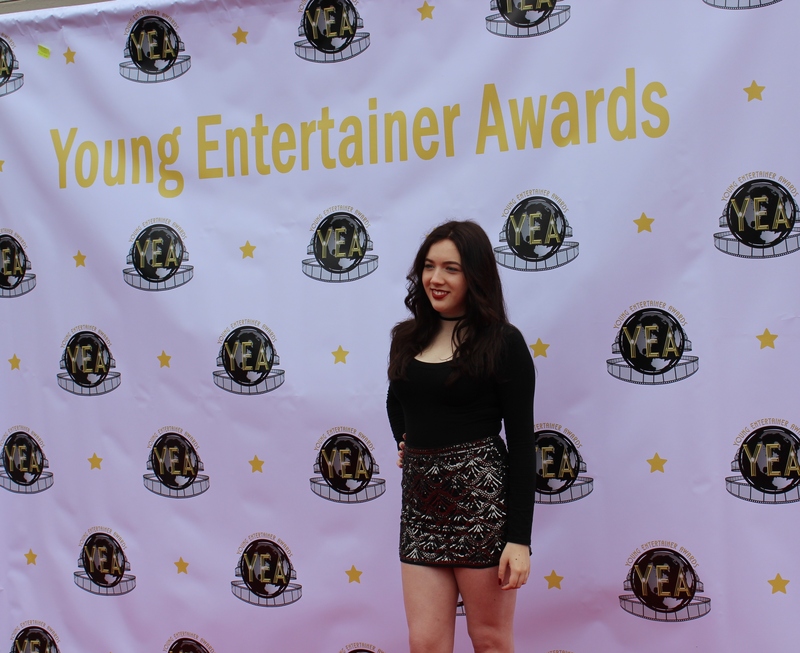 This event honors child actors not only for their professional work, but also for their training, education, community service and charitable activities. This year's event will be held at the Globe Theatre at Universal Studios Hollywood. Jordan is on the air in Memphis, TN for the 20th Annual ROCK 103 Ronald McDonald House Radiothon February 10th and 11th. The Memphis Ronald McDonald House provides a home for the young patients treated at St. Jude Children's Research Hospital and their families. 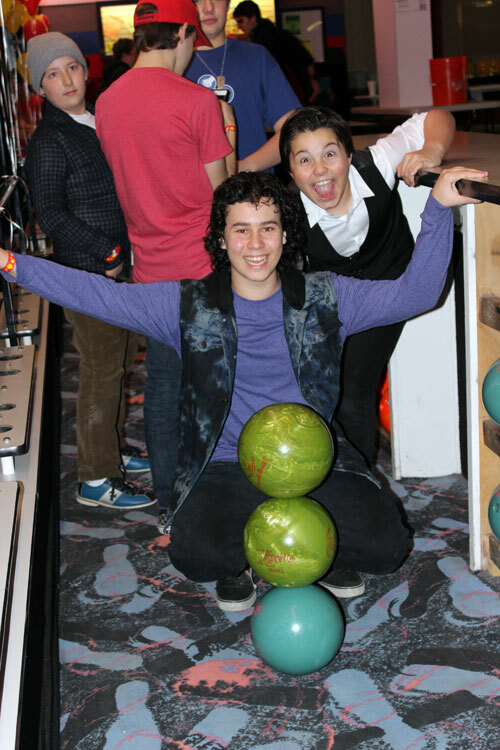 Jordan hosts her Inaugural Bowl-A-Thon to raise funds for the Ronald McDonald House in Memphis and the kids at St. Jude Children's Research Hospital. A great event and a great cause! 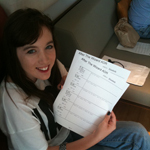 Jordan participates in table read for "Days Full of Night" written by John B. Hill and David Cooley. She reads the role of Sara, the daughter of troubled Sean O'Brien, read by talented actor Brian Scannell (of "The Town" and "Gone Baby Gone"). 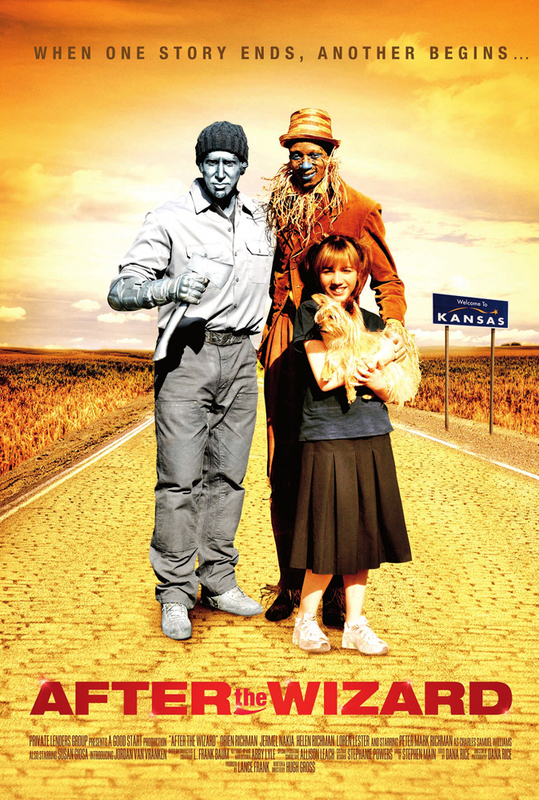 Jordan returns to Kingman, KS to attend a screening of the indie feature "After the Wizard" and ride in the annual Christmas parade with the local children who played orphans in the film. 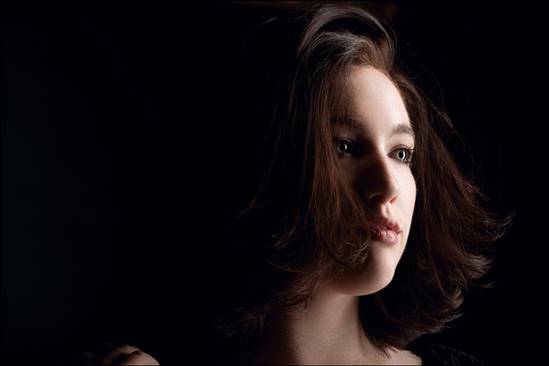 Jordan plays the lead role of Elizabeth in the film, directed by Hugh Gross. 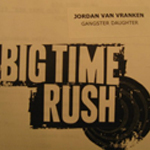 Jordan books an episode of "Big Time Rush" on Nickelodeon! 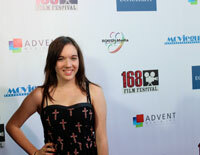 She had a great time filming at Paramount Studios. Catch Jordan doing comedy with the Bangarang Sketch Comedy team. The funny web series begins airing this month. Jordan filmed a series of sketches including "Birthday Wish" and "3-D TV." 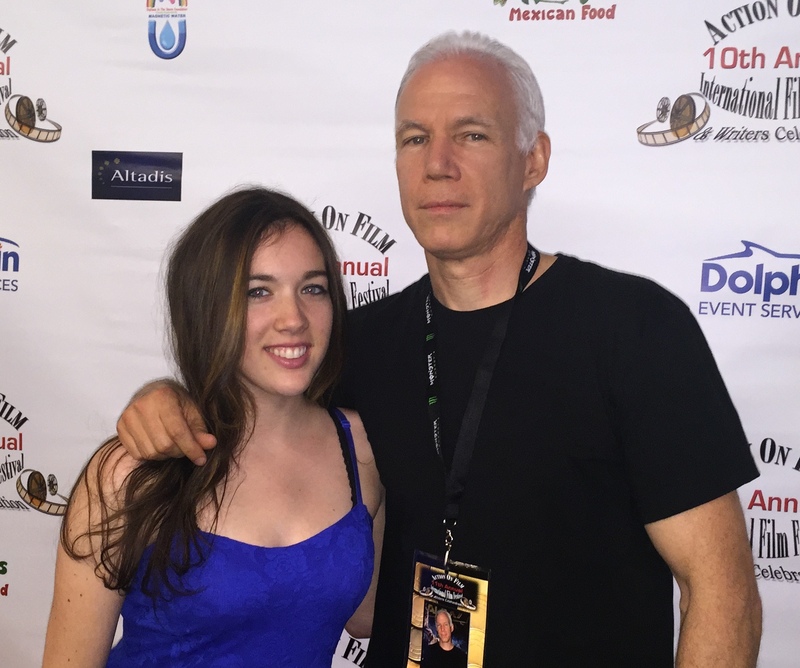 The short film "Wurm" premieres at the Ojai Film Festival; Jordan plays a supporting role. 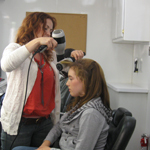 Jordan books and films role in Columbia Pictures film "Bad Teacher" with Cameron Diaz. 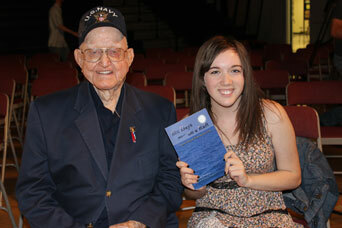 The short film, "WURM," directed by Jack Major, screens at the Brooks Institute in Ventura, CA. 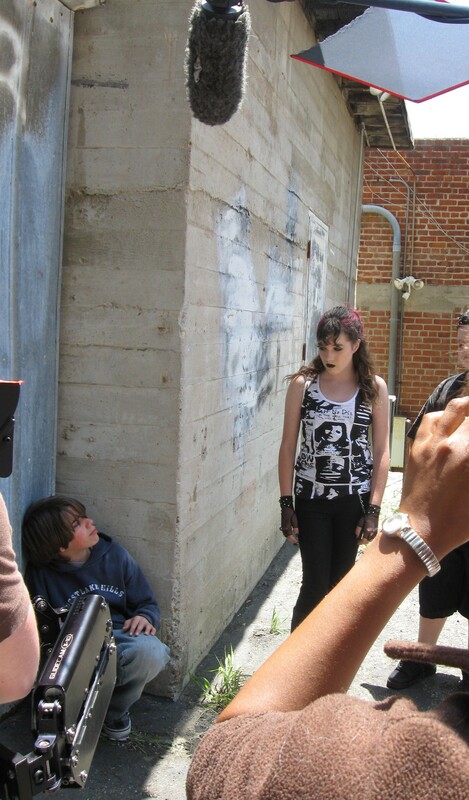 Jordan plays the role of a mean, goth girl leading a group of punk boys. 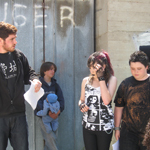 Jordan films sketch comedy as Suzie with the Bangarang Comedy team. Web series begins next month! Filming wraps for the indie feature "After the Wizard." 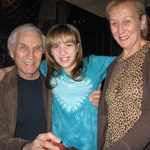 Director Hugh Gross commented, "It's an absolute pleasure to work with Jordan. She is very talented, extremely intelligent and courageous. Given the time and resource limitations we were constantly battling, I can't even imagine how things would have turned out if Jordan hadn't done so much and done it so well to be prepared. 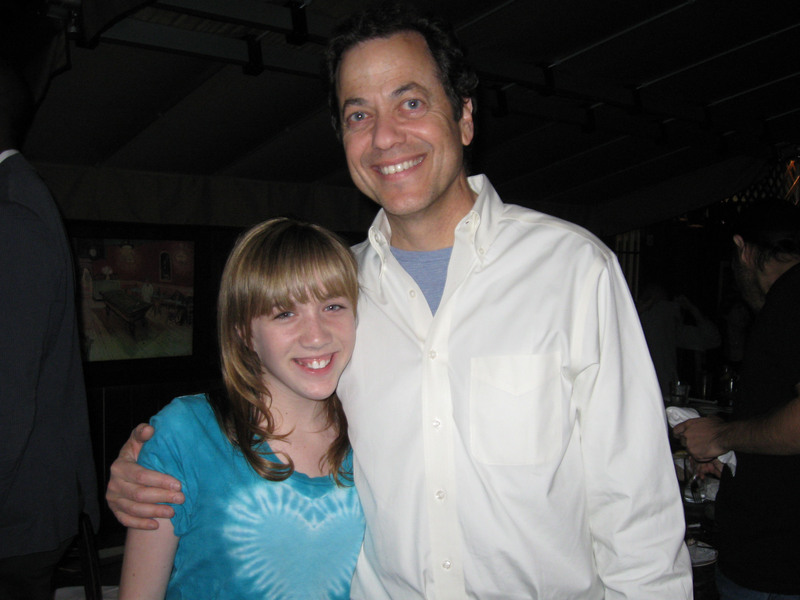 Jordan is a fine young person and actress." More voice-over! 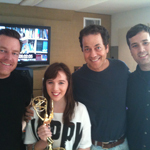 Jordan completes ADR for the festival bound film "An Education." She voices the role of Rachel (in addition to the role of Bella) for the series "Cyber Relationship." WE THE DIVIDED, the animated film directed by Ryan Chen, is part of the official selection for the 2010 Berkeley Film & Video Festival. The screening will be September 24, 25 & 26 at the Landmark Shattuck Cinemas Multiplex in Downtown Berkeley, CA. Jordan is the voice of Young Mia. The animated short film "We the Divided" has been accepted into the 16th annual Temecula Valley International Film & Music Festival set to occur, Sept. 15-19, 2010. 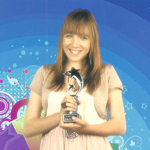 Jordan is the voice of young Mia. Filming continues for the indie feature film, "After the Wizard" this month in Los Angeles. 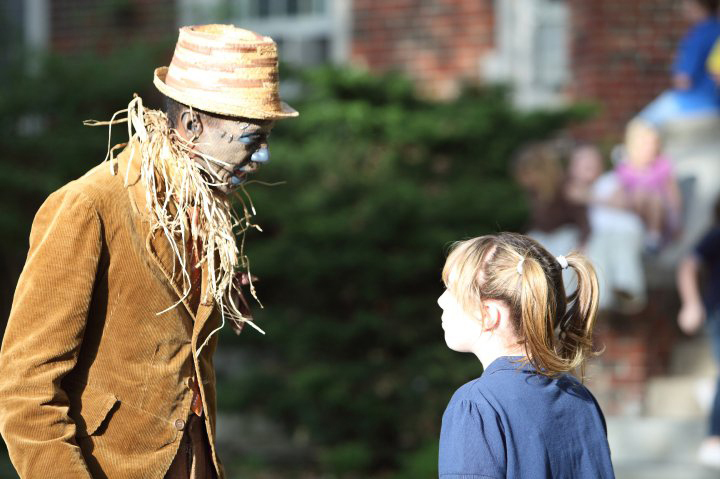 Jordan plays the lead role of Elizabeth, an 11-year old Kansas orphan. The film is directed by Hugh Gross. Jordan completes ADR for the short film, "Wurm" directed by Jack Major. The Warner Brothers/HD Films' animated series "CHADAM" is now available on iTunes. Jordan provides the voice and motion of Ripley, Chadam's best friend. 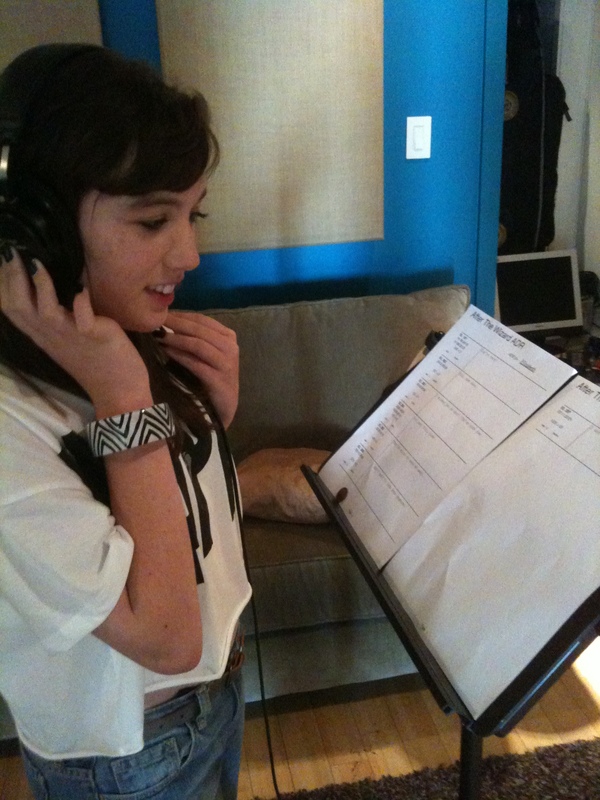 Jordan books and records the voice of Bella for the web series "Cyber Relationship." 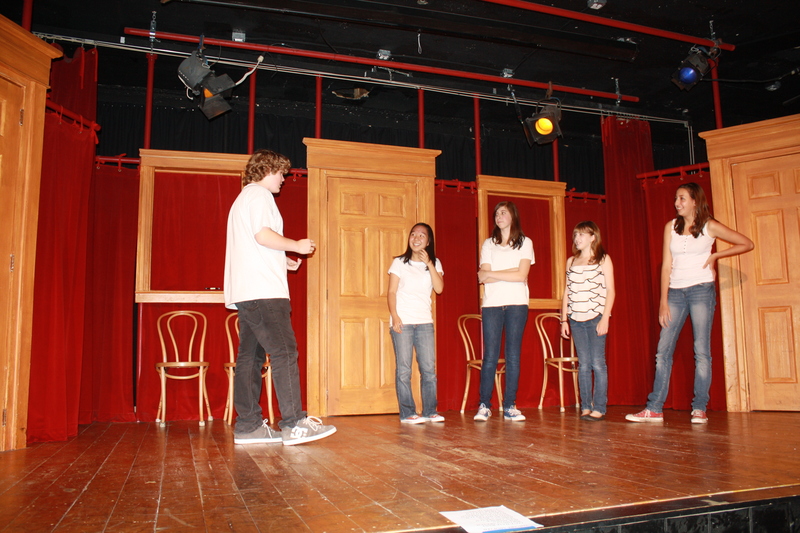 Jordan performs at The Second City in Hollywood....comedy, improv and musical theatre! Warner Brothers and HD Films announced the premiere of the animated series CHADAM on The WB.com June 15th. Jordan voices the character of Ripley, Chadam's best friend. The series stars Katey Sagal, Wilmer Valderrama, Jeffrey Combs, Sig Haig, Carl Weathers....and more! Animation and machinima fans will enjoy "Chadam," an action-horror-adventure story from cutting-edge artist Alex Pardee and producer Jace Hall, created using the Unreal Engine 3, the gaming technology behind hit videogame titles "Gears of War" and "BioShock." A resident of Cardboard City, Chadam must learn to use his hidden powers to free the city's residents from the violent zombie-like pallid. Episodes 1-5 premiere Tuesday, June 15, with the remaining episodes 6-10 launching Tuesday, June 22. 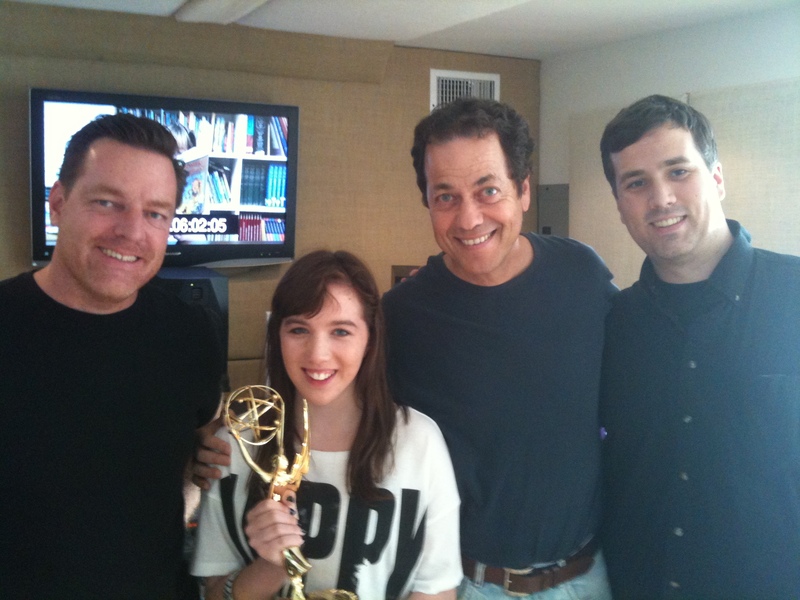 Jordan records scratch tracks for animated feature "Losopolis"; she voices the lead character, Kyra, directed by Tom Walsh at EnterAktion Studios. Jordan books a voice over commercial for Conn's! The spot is a Father's Day promotion and will run regionally in Conn store markets. 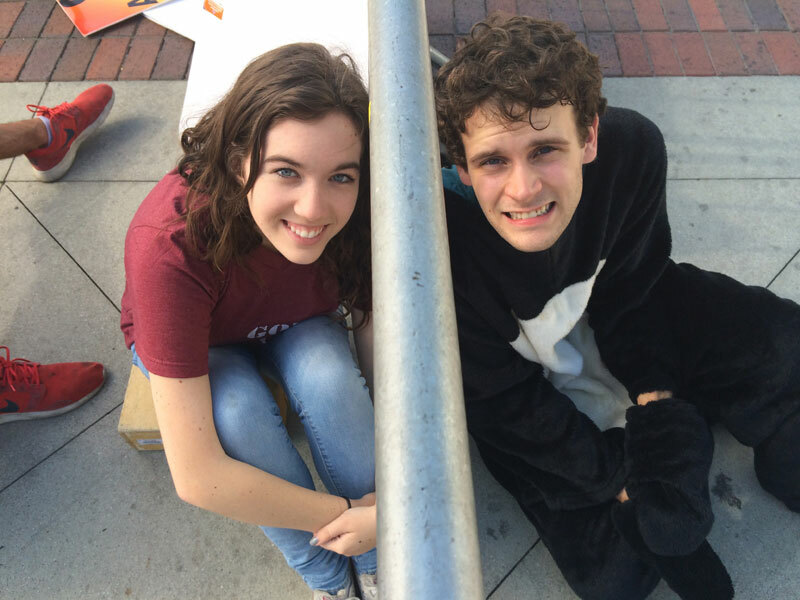 Jordan books a supporting role in the short film, Wurm! 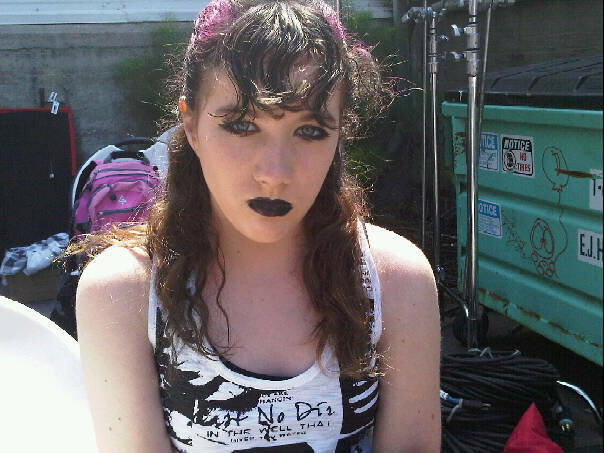 She's looking forward to playing the sole mean girl in a group of punk boys! Filming begins next month. A screening of the animated film, "We the Divided" will be held May 6th at the Directors Guild of America. Jordan voices the character of young Mia. Check out the trailer under the "Voice Over Samples" tab. 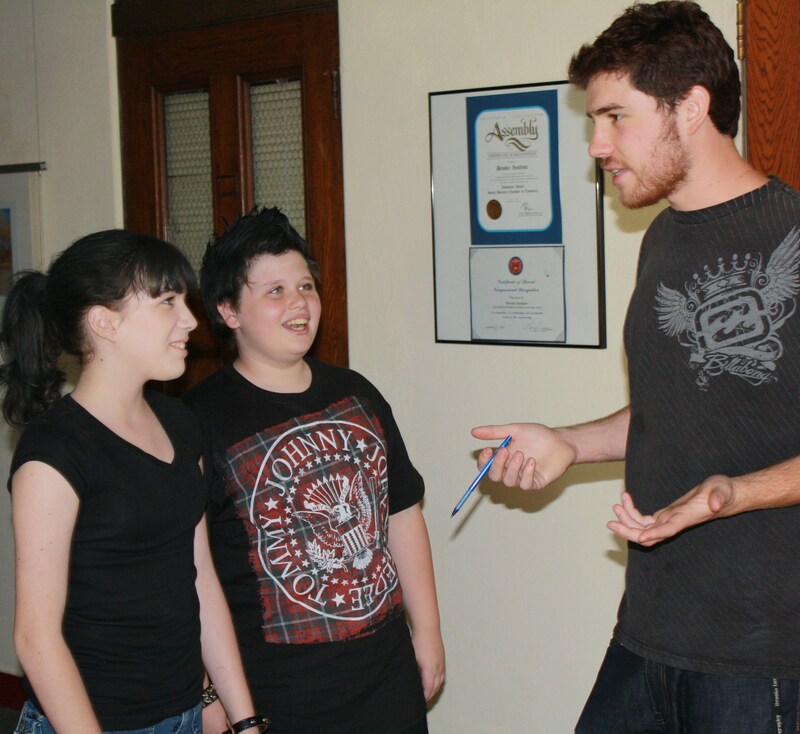 Jordan begins filming in Los Angeles, Topeka and Kingman, Kansas for the independent feature film, After the Wizard. 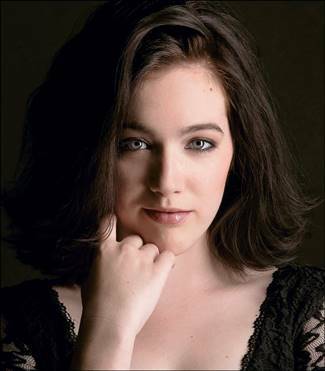 Jordan plays the lead role of Elizabeth Haskens. The film is written and directed by Hugh Gross. Jordan books and films a supporting role in the film "TwiHarder," a spoof on the Twilight movie series. Giorgio Caridi directs. 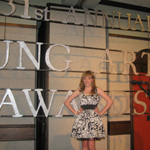 Jordan is recognized at the 31st Annual Young Artist Awards April 11th for her performance in Criminal Minds. 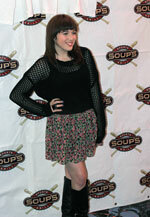 The red carpet event is held at the Beverly Garland in Studio City, CA. 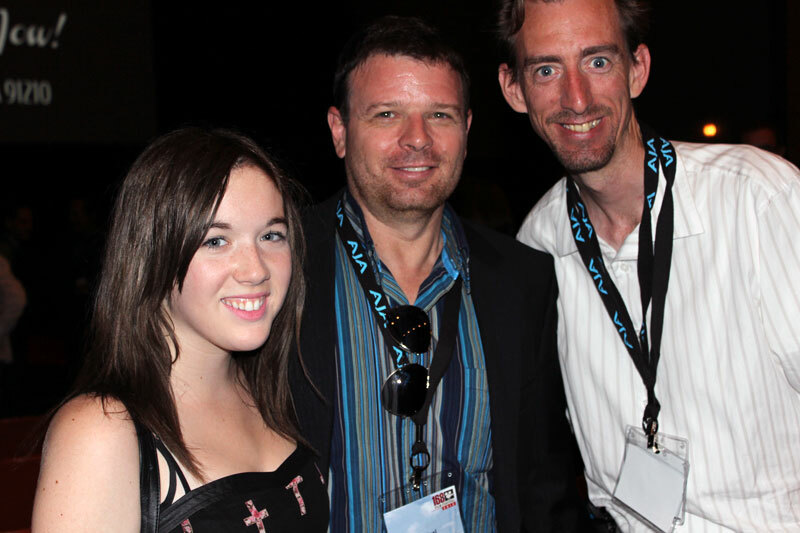 Jordan is recognized at the 2010 CARE Awards held at the Globe Theatre inside Universal Studios, Hollywood. Jordan books the lead in an independent feature film! Filming begins next month and will shoot on location in three cities. 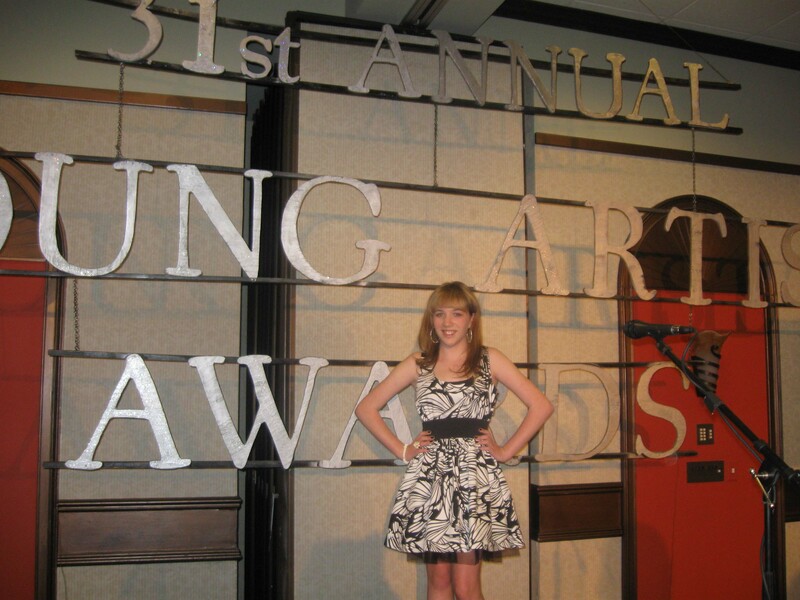 Jordan has been nominated for a Young Artist Award for her performance in Criminal Minds. 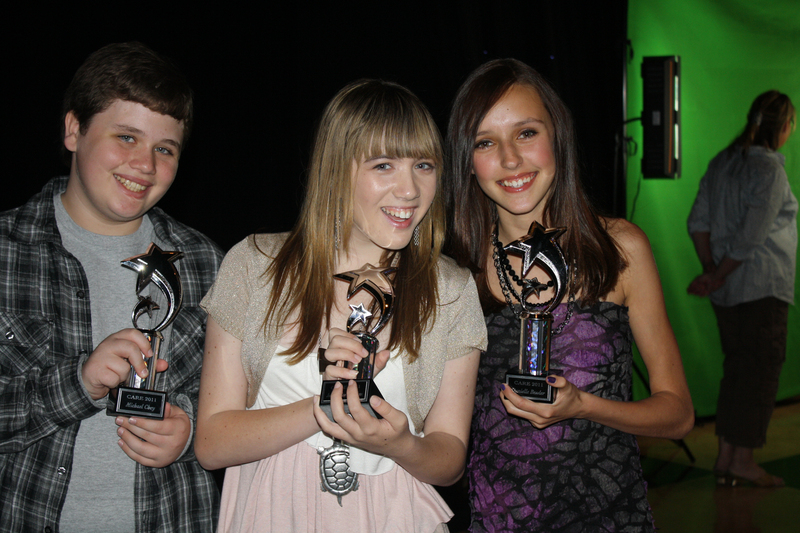 These awards recognize the performance of young artists under the age of 18 in television, motion pictures, theater and music. 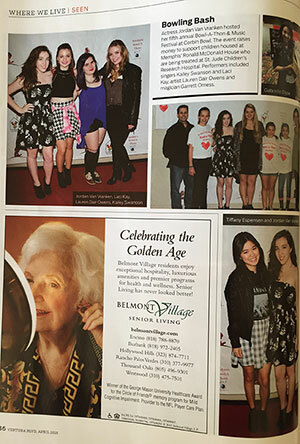 The 31st annual event will be held at the Beverly Garland in Studio City, CA April 11th. 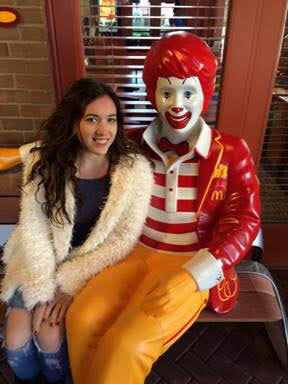 Jordan will be "on the air" in Memphis fundraising for the Ronald McDonald House that provides housing for the patients and families of St. Jude Children's Research Hospital. 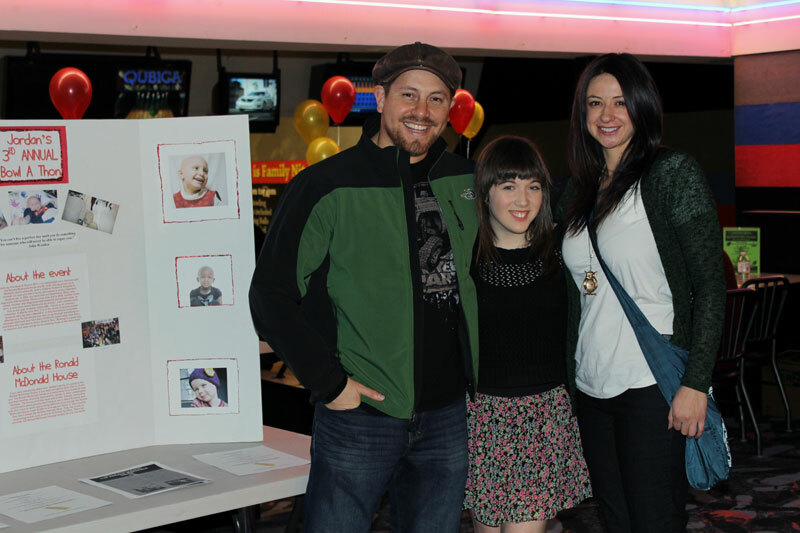 The annual 28-hour Rock 103/Ronald McDonald House Radiothon will be broadcast live on the internet. Jordan will be recognized at the 2010 CARE Awards.....a red carpet event held at the Globe Theatre inside Universal Studios, Hollywood. 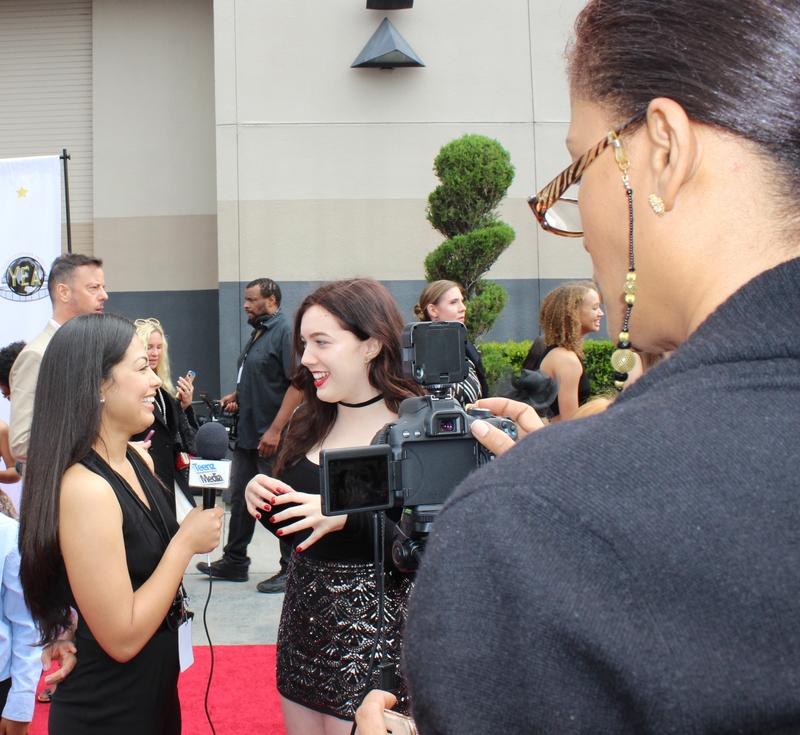 The CARE (Child Actor Recognition Event) Awards honor child actors for their positive contributions to the entertainment industry. Reads role of Elizabeth Haskens at table read for "After the Wizard," by Hugh Gross. Jordan is back "in the booth" this month doing ADR and additional voice work for CHADAM, Warner Brothers'/HD Films' animated series. 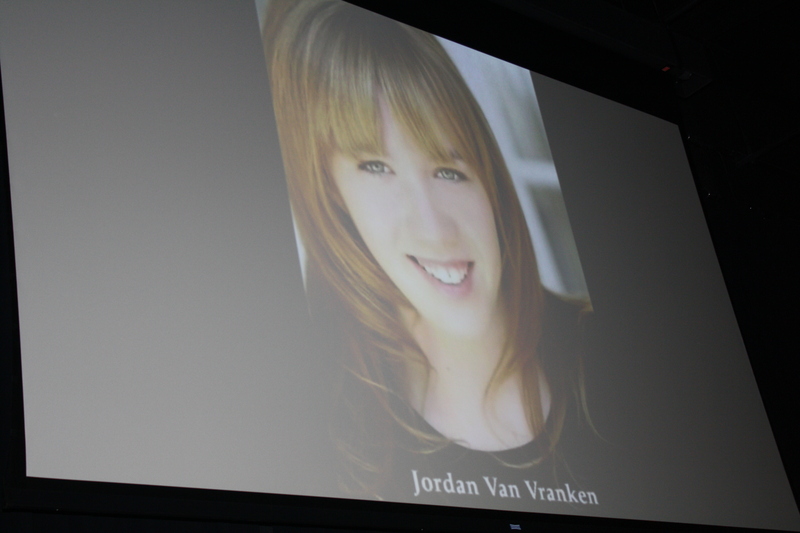 Jordan voices the character of Ripley, Chadam's best friend. Jordan's episode of Criminal Minds Dec 16th drew the show's largest audience since its season premiere in September, helping CBS win the overall ratings race for the night. According to Nielsen's estimates, it was the top-rated program of the evening, with 14.6 million viewers tuned in! 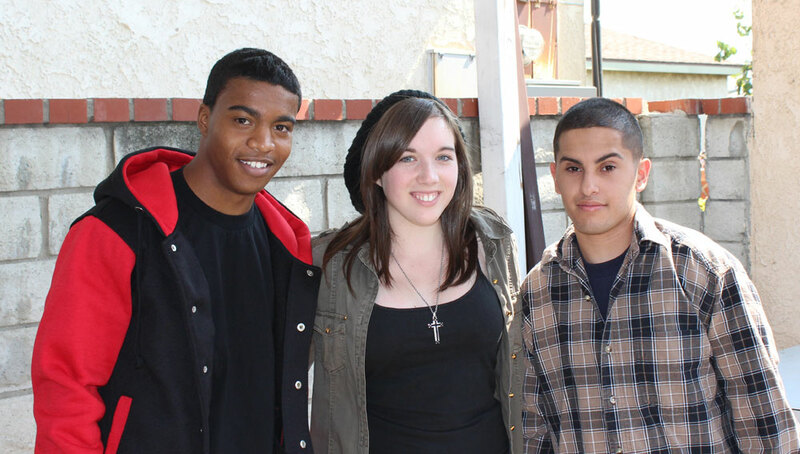 Watch Jordan on the December 16th episode of Criminal Minds on CBS. She plays Jenny Schrader, who is kidnapped by her ex-con father played by Lee Tergesen. Catch Jordan on the December 10th episode of Moises Rules on Disney XD! 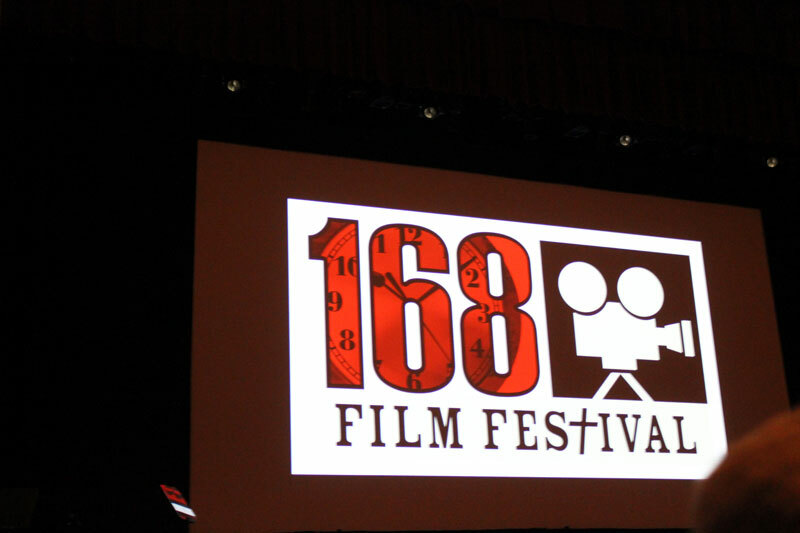 Festival bound short films, "Boysenberry Pie" and "Sugar" screen this month. Jordan plays the lead roles of Emily (Boysenberry Pie, directed by Miguel Gonzalez) and Lucy (Sugar, directed by Eric Martin). "Another Day" by Jes Hudak wins Pop Single of the Year at the LA Music Awards. Jordan is in the music video, filmed earlier this year with Jes. Jordan books the role of Jenny, who is kidnapped by her ex-con father in an episode of "Criminal Minds." Jordan books a commercial for Cartoon Network's video game Fusion Fall; films later this month. Films episode of "Men of a Certain Age," new Ray Romano series on TNT. Jordan plays the role of a 7th grade student. Books role of a September 11 grounded passenger in the ensemble film "The Space Between" starring Academy Award nominee Melissa Leo, Brad William Henke and Anna Sophia Robb. "We the Divided," an animated short film directed by Ryan Chen has been submitted to 8 major festivals. 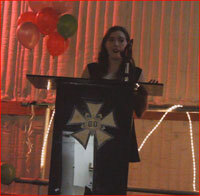 Jordan voices the character of young Mia. 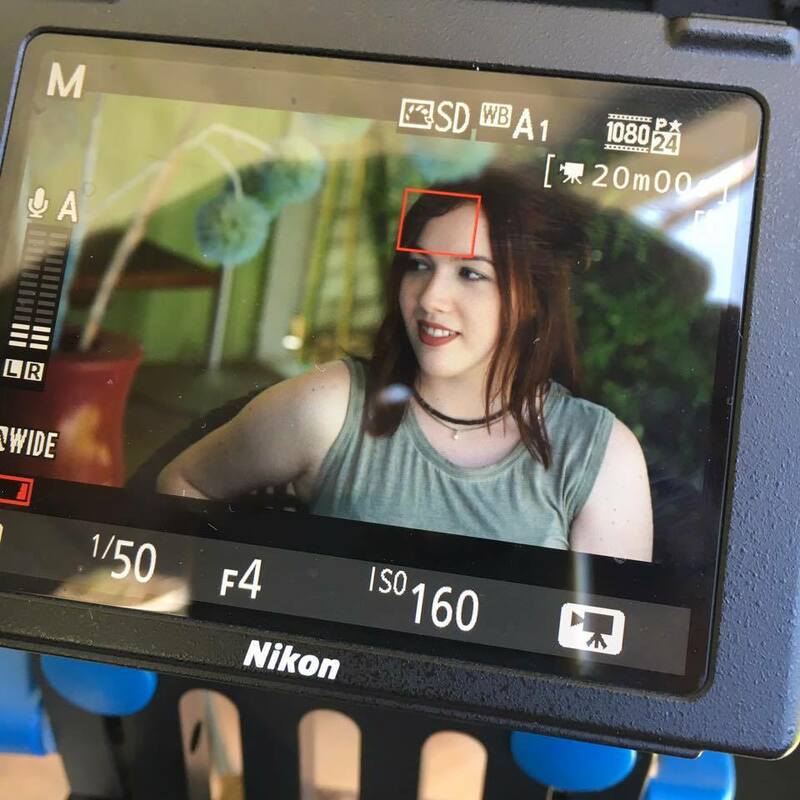 Jordan books the role of Emily in the festival bound short film, Boysenberry Pie. Filming to begin later this month. Jordan books and films Disney's "Moises Rules!" with Hannah Montana's Moises Arias. Jordan books "Disposable Routines," a multimedia installation by documentary film makers Janine Stengel of Germany, and Beatriz Barragon Horn of Mexico. The presentation explores the consumption and disposable routines of contemporary society stressing the individual's importance to global efforts. "Disposable Routines" will exhibit at the Cella Gallery in North Hollywood. Jordan will participate in filming and presenting at the Opening Reception of the exhibit. Directed by Oscar Curioso, filming for the television pilot "InCybers" begins this month. Jordan plays the role of series regular, Miss Bin. Jordan attends The Second City bootcamp, hailed as the "Ivy League of Comedy," working on improvisation, sketch comedy and musical theatre. A brand new trailer for CHADAM debuted at Comic Con 2009 in San Diego at the Warner Bros Booth! CHADAM is an upcoming animated series created by ALEX PARDEE, and staring Jeffrey Combs (Re-Animator), Katey Sagal (Futurama), Carl Weathers (Predator), and Sid Haig (Devil's Rejects). Jordan voices the character of Ripley, Chadam's best friend. Jordan books the role of Sasha for the project "Oregon Trails," a music video from the comedy team Picard Maneuver for their song "Oregon Trails" based on the popular 90's computer game. Filming begins next month. Jordan books the role of Cynthia in the short film, "The Age of Innocence," a serious, festival bound short film about child suicide awareness. Filming begins in Glendale, CA this month. Jordan films music video for the hit song "Another Day" by Jes Hudak, a Soulsticks Production directed by Edber Mamisao. The video is inspired by the film "Broken" based on a true story and is to be released worldwide this year on MTV, VH1 and other cable networks. 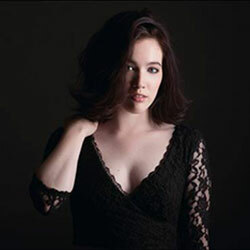 Jordan booked the role of Miss Bin for the television pilot of "InCybers," a live action, groundbreaking TV series adapted from the original animation screenplay. "InCybers" is a high-tech adventure filled with fun and fantasy about the colonies of itsy bitsy electrons named "InCybers" that live inside computers, cell phones and other electrical devices; Miss Bin is a series regular. Filming begins next month. Jordan completes ADR (automated/automatic dialogue replacement) for "Sugar" - a project Jordan filmed in March, directed by Eric Martin. She plays the lead role of "Lucy." The Trinity Broadcasting Network (TBN) will air Dual Revelation on their stations world wide. An agreement with TBN to give them non-exclusive broadcast rights to air Dual Revelation has been signed – not just for one airing, but for as many times as the network wishes. The world television broadcast premiere for Dual Revelation is set for Thursday May 21st at 11pm (pacific time). 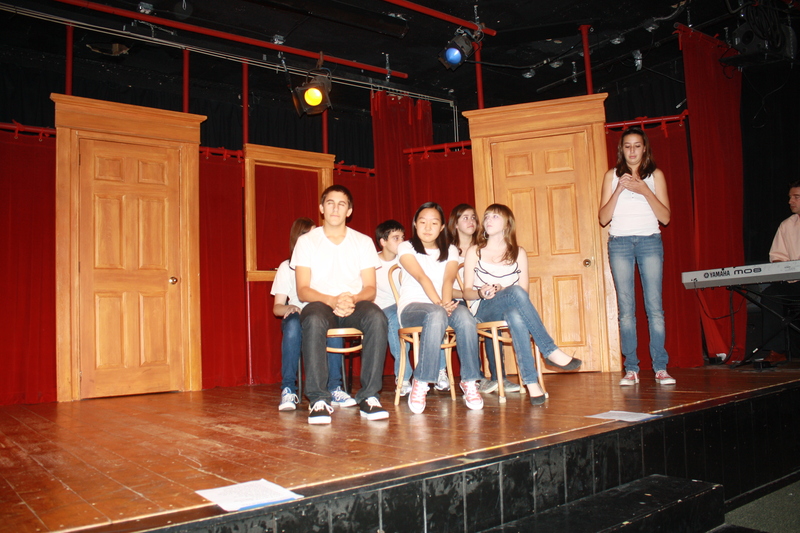 Jordan plays the lead role of Megan. Check out the official listing. "Chadam" behind-the-scenes video released announcing secret names behind the voices of this new animated series including Katey Sagal, Carl Weathers, Sid Haig, and others. Jordan voices the character of Ripley. Jordan books the lead role of Miriam in feature film, "Gospel Adventures," directed by Kacee DeMasi and award winning producer Gilda Davies. 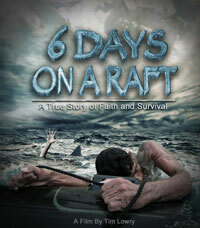 Film will air on cable and be released on DVD. 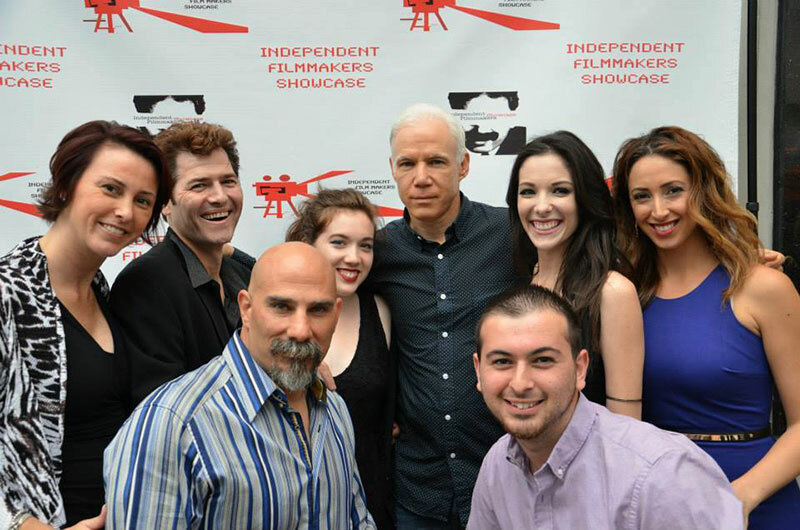 Jordan films festival bound SAG comedy short, "Spring Sing," directed by Greg Auerbach. Film was shot in 4K-HD on the RED Camera. Books and films commercial for Breakdown Services to air on VCN (Virtual Channel Network). Jordan will be "on air" in Memphis, participating in the Rock 103/Ronald McDonald House Radiothon to raise awareness and funds for the house that provides a home for the patients being treated at St. Jude Children's Research Hospital and their families. The 28-hour event will be broadcast March 12th and 13th. 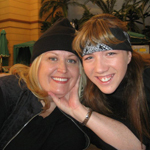 Jordan will be recognized at the 2009 CARE Awards! The CARE (Child Actor Recognition Event) Awards honor child actors for their positive contributions to the entertainment industry. 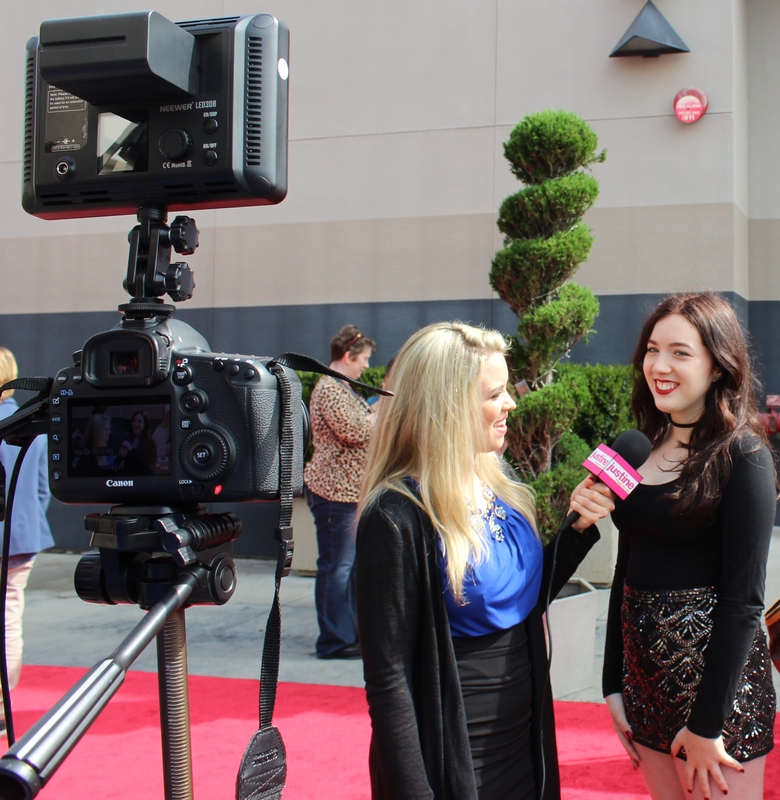 It's a red carpet event held at the Globe Theatre inside Universal Studios, Hollywood. Honorees are selected using a point system based on professional acting work, academics, union membership, training, a written essay, and community service. 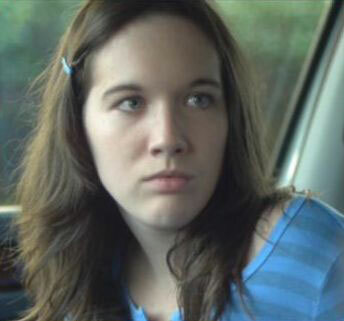 Director Eric Martin casts Jordan to play the lead role of Lucy in his short film, "Sugar." Filming will begin next month. Directed by James Whitmore Jr., Jordan films the role of a soccer player, a victim of a terrorist attack in Los Angeles, on the 20th Century Fox tv series, "The Unit." 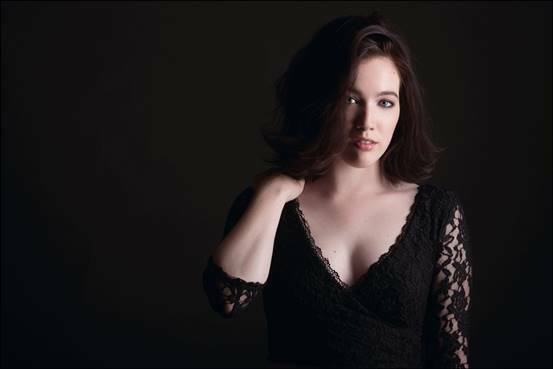 Wraps granddaughter role in Alright Entertainment's television episodic, "Calling All Angels," shot on the same set as Tim Allen's "Christmas with the Kranks." Hope to see this air on the TLC Network in 2009. Books and films role of kid captured by villains in Peter Kazanjian's short, "Wild West." Filmed the role of Lucy in the short film "Ghosts" by European Director Susana Casares for film festival submission. The docudrama "Dual Revelations" is released and available for purchase. 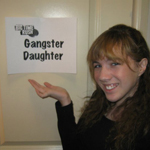 Jordan plays the lead role of Megan. "Different Worlds" premieres on the Warner Brothers lot. Jordan plays the lead role of Hannah in this short film by Hiro Hasegawa. "Chadam" premieres at Comic-Con in San Diego. Jordan voices the role of Ripley and does the motion capture for the character in this original animated series by Warner Brothers and HD Films. "Rarely have I met such a strong actor who has such a strong and impressive character."